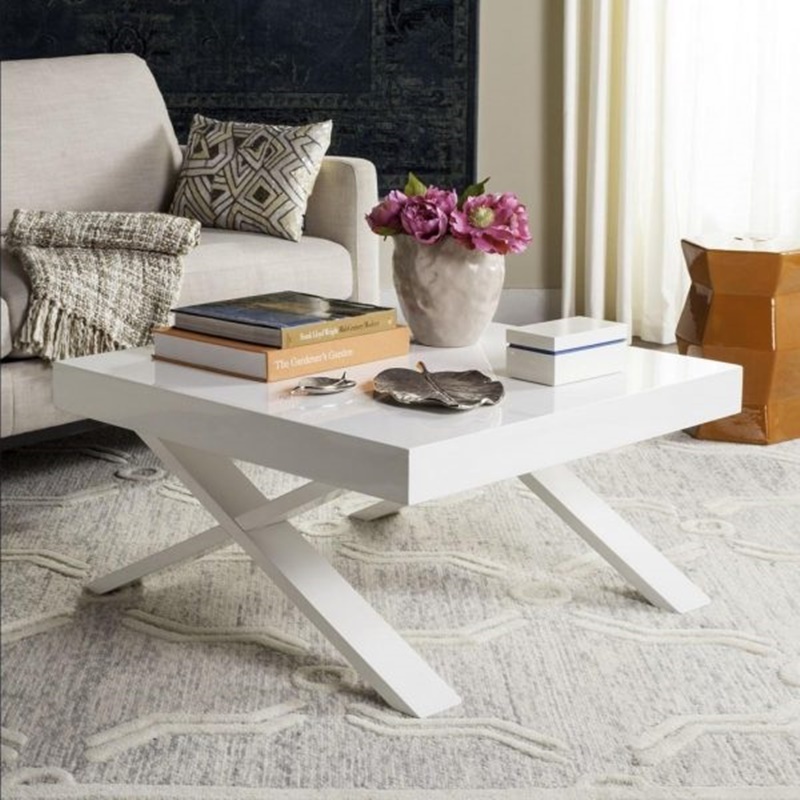 Are you in the market for a new coffee table? 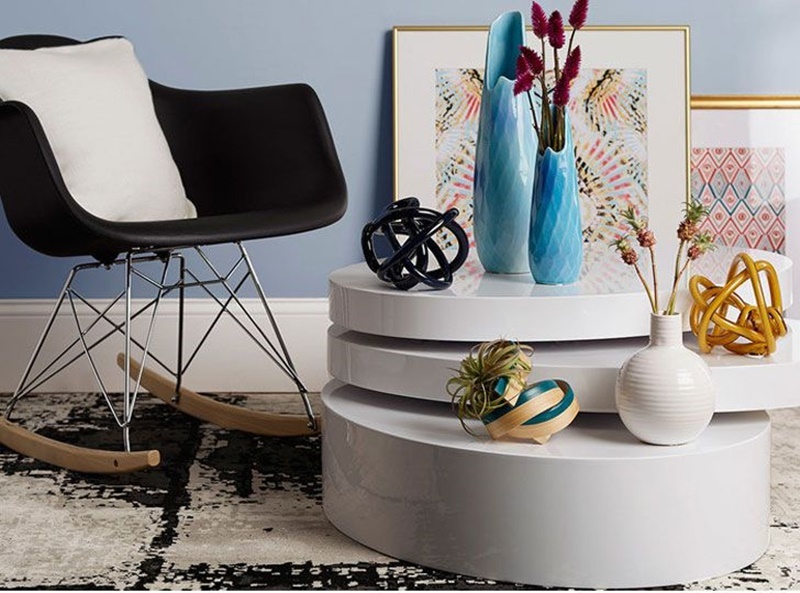 Well this list is right up your alley. 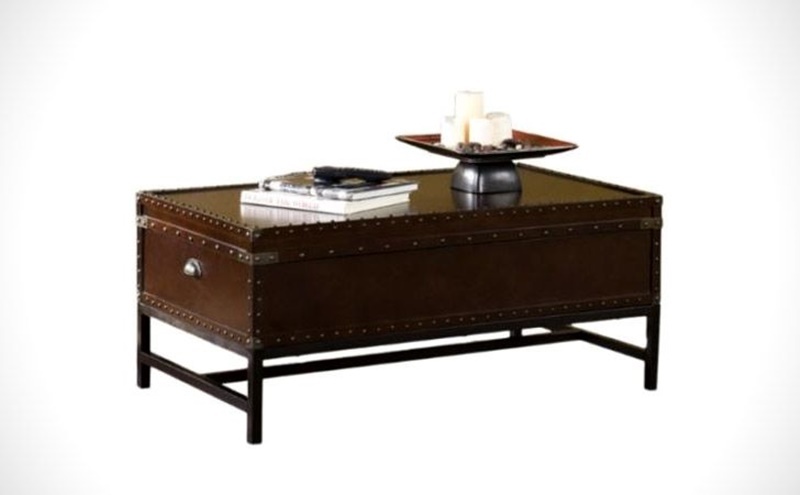 We have assembled a list of the some of the best coffee tables on the internet for your considerations. 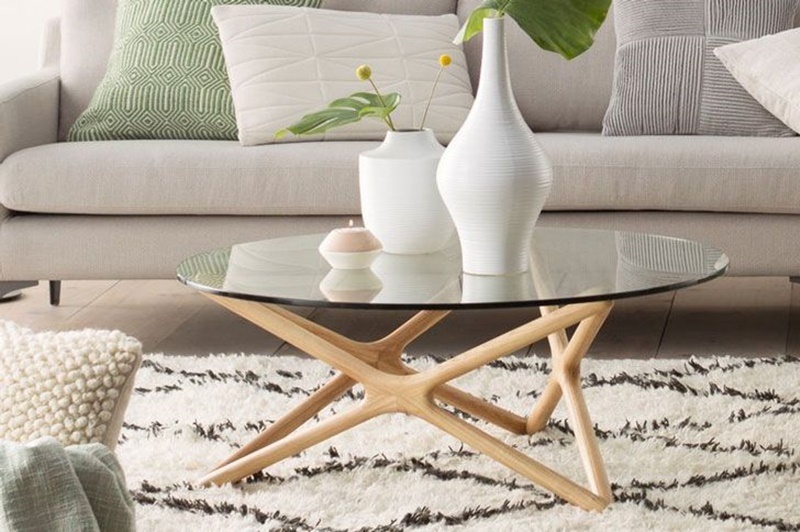 So sit back, relax and prepare to get your scroll on and get some coffee table ideas for your living room. 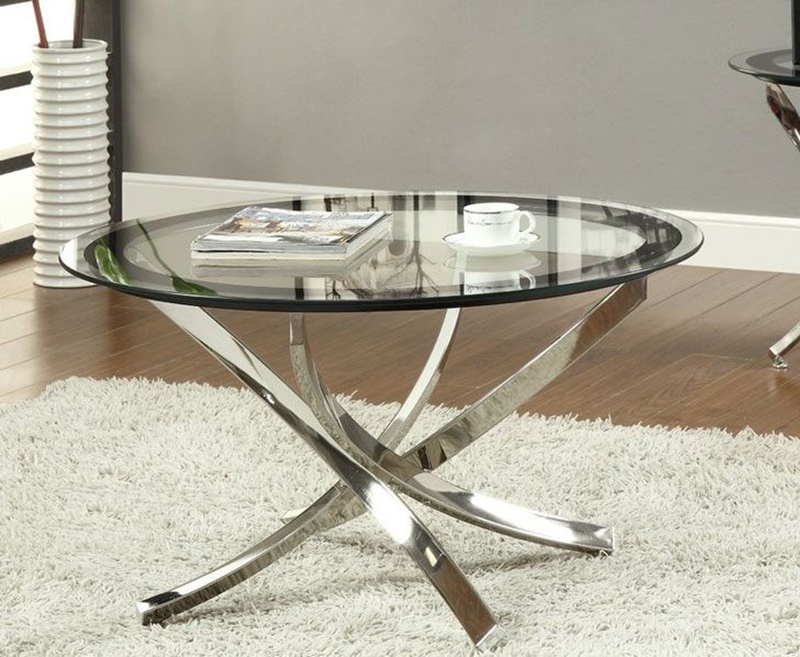 The sleek yet modern styling of stainless steel can really bring an extra element to a room and is great alternative to wooden coffee tables. 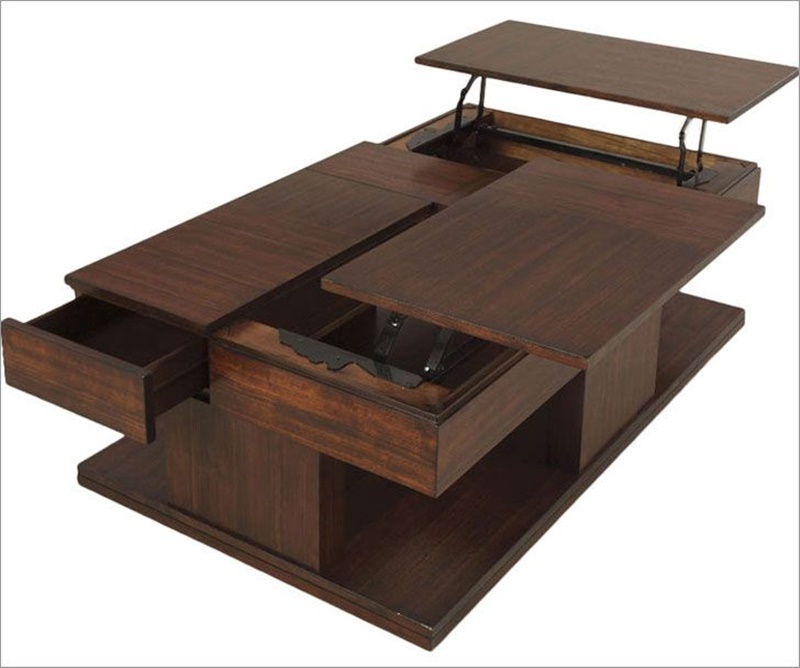 The image above is a two piece set with odd shape yet still works well. 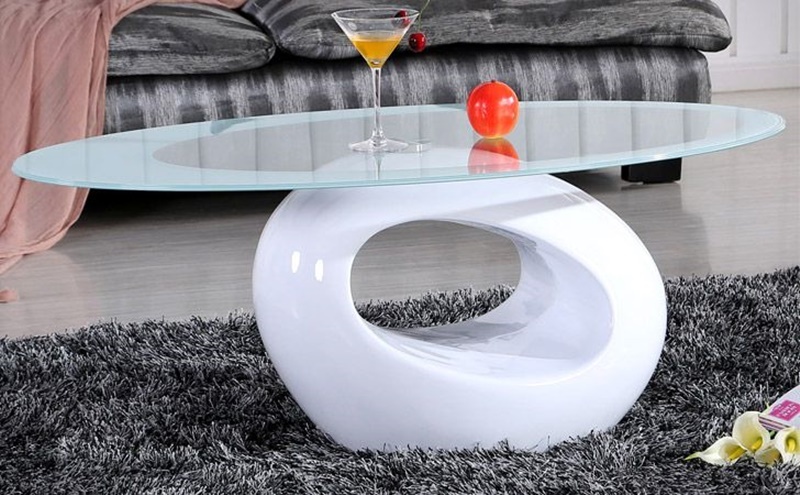 This style of table works as a centerpiece of art and a place to rest your drinks. 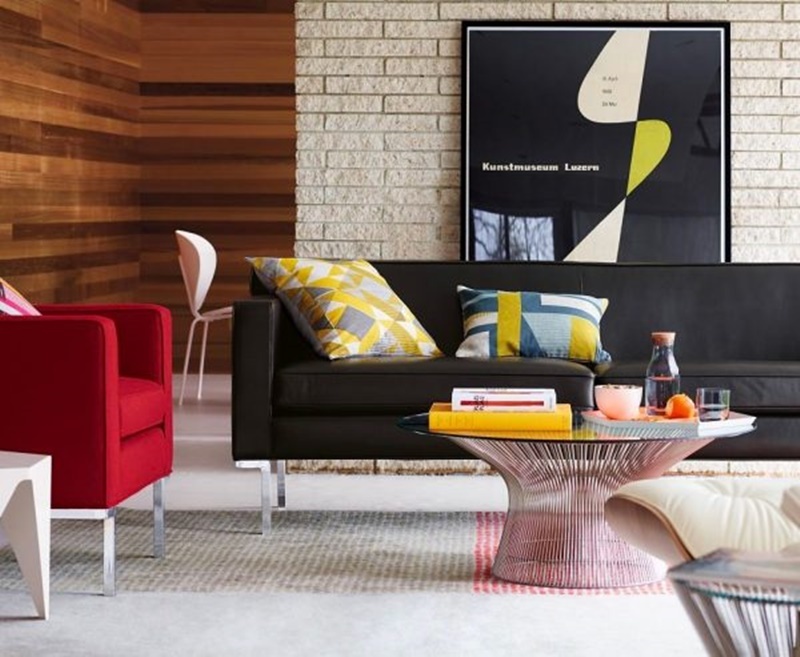 It’s a style worth considering if you are after a more modern approach. 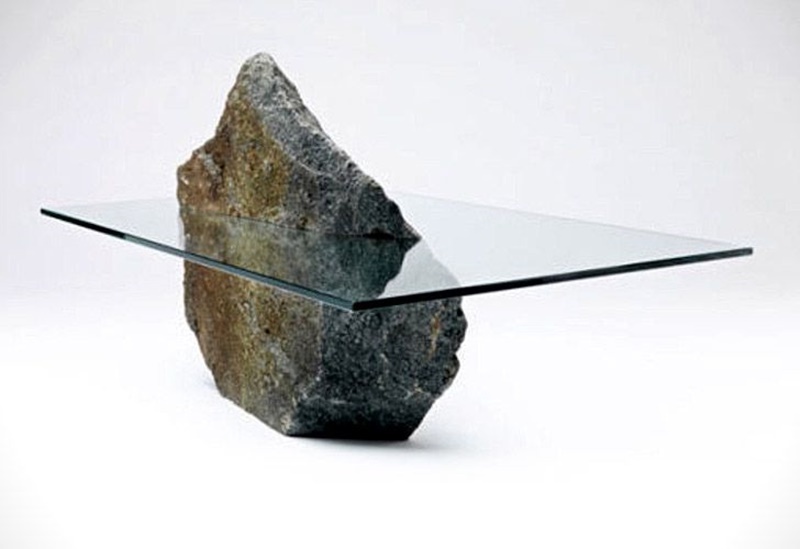 The above coffee table features a natural stone with a glass surface. 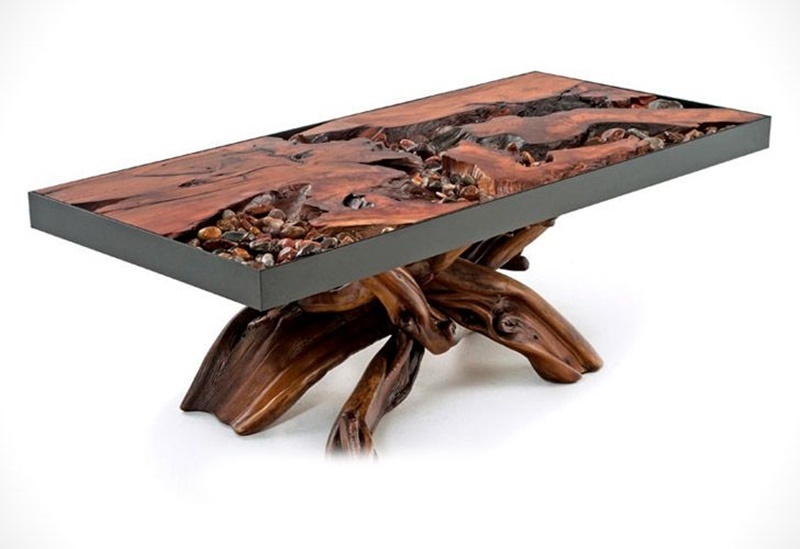 This natural style leaves nothing to the imagination and becomes a force of nature when it sits in your lounge room. 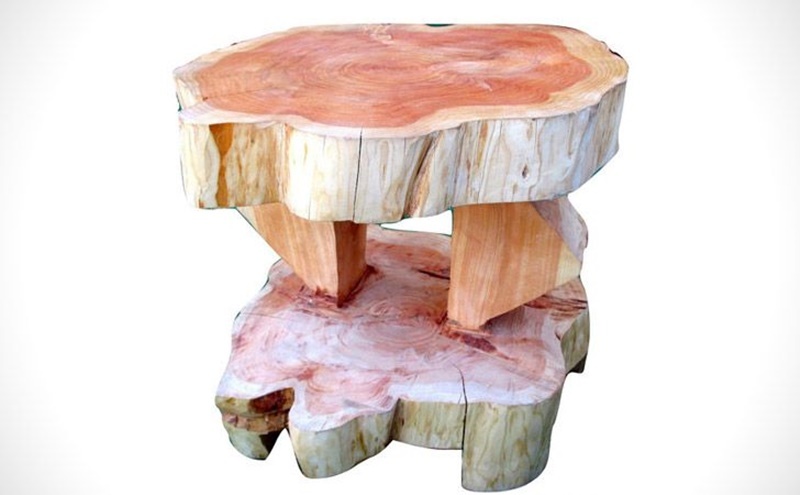 It’s simple but effective way to add natural beauty to your home and you will never stop marveling at the amazing formation created by nature. 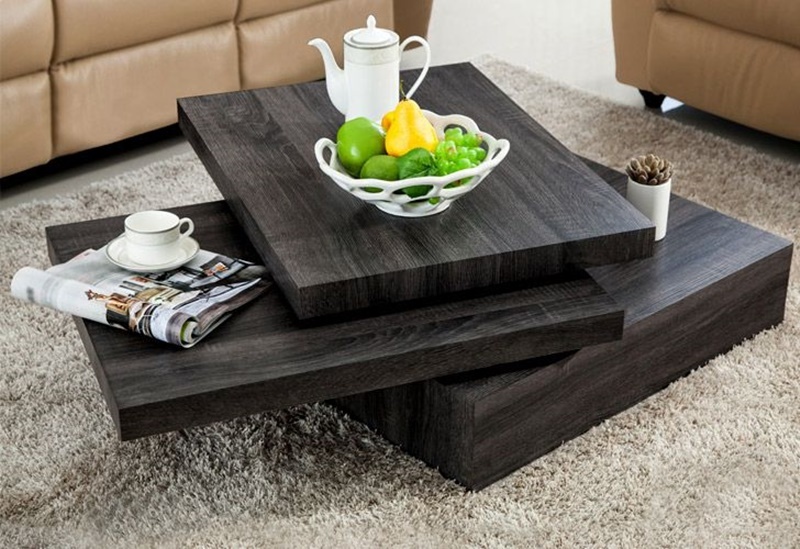 Wood coffee tables are the staple in most peoples lounge room across the world. 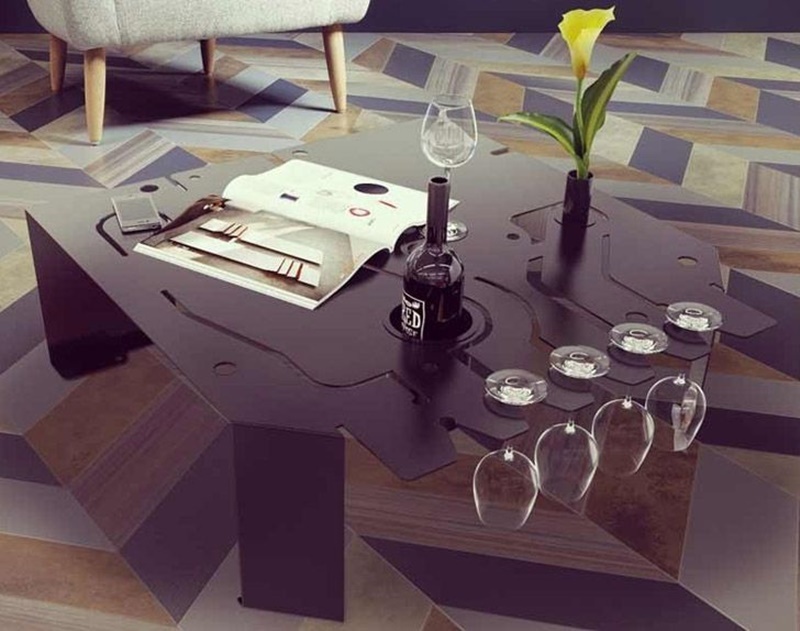 We are spoiled for choice when it comes to different varieties of tables and it’s a matter of choosing the one that suits your personality and style the best. 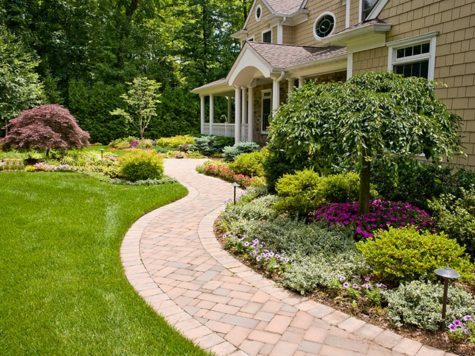 This natural style in the image above speaks volumes and really lets the beauty of nature do the talking. 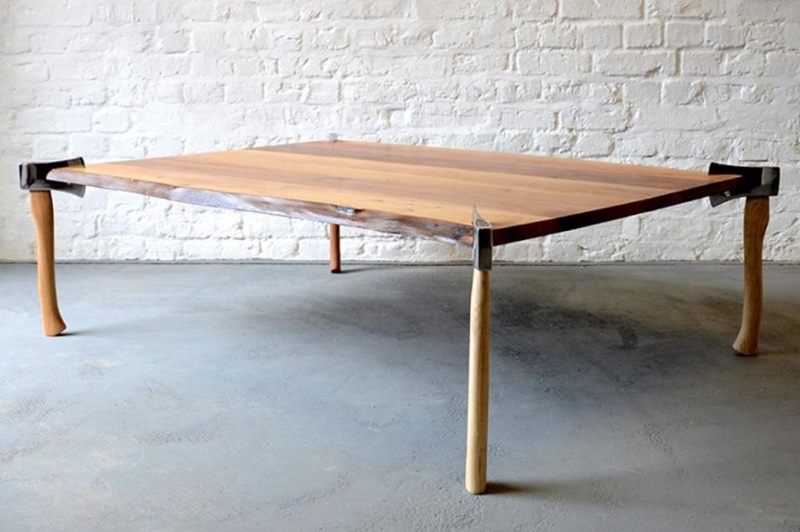 The carpenter has left all the imperfections in to keep the table as natural as possible. 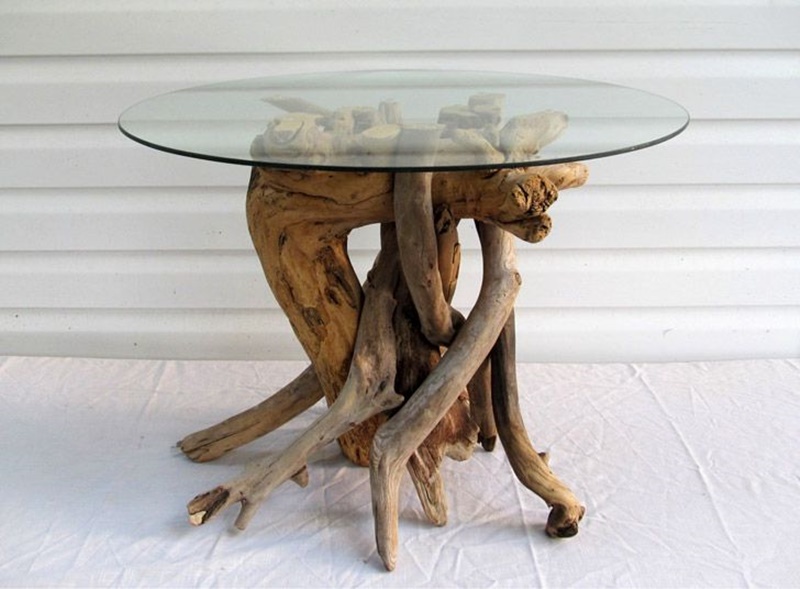 The tree branches naturally form the legs of the table and the winding tree trunk stems up table surface. 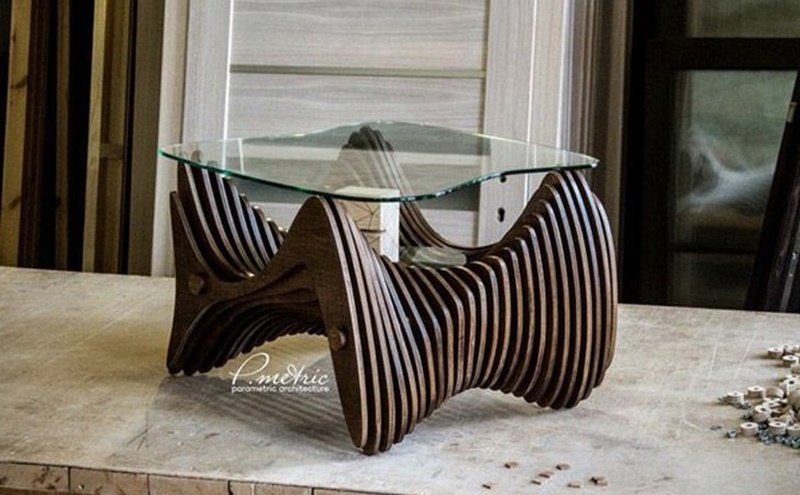 This is a truly unique approach to a coffee table and may the be the perfect table for your home. 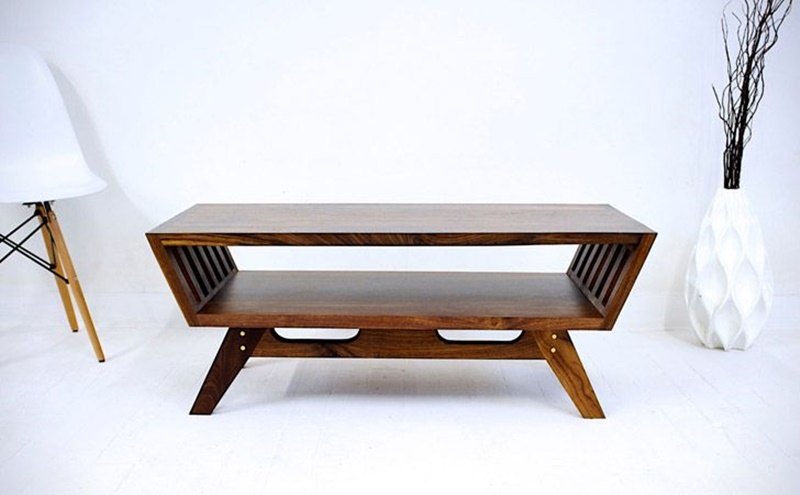 Here is another example of the furniture maker utilizing the natural state of the wood to be the star of the show. 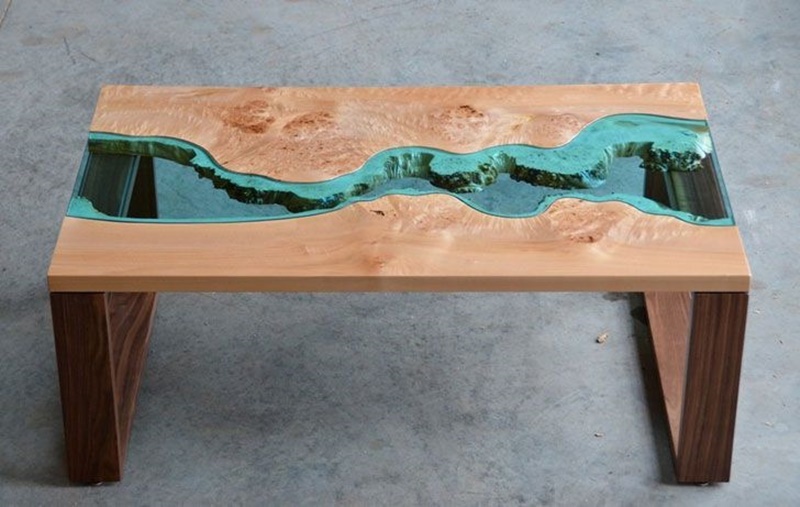 There hasn’t been too much done to this piece of wood and it looks amazing. They make has simply flattened off the surface and that’s about it. 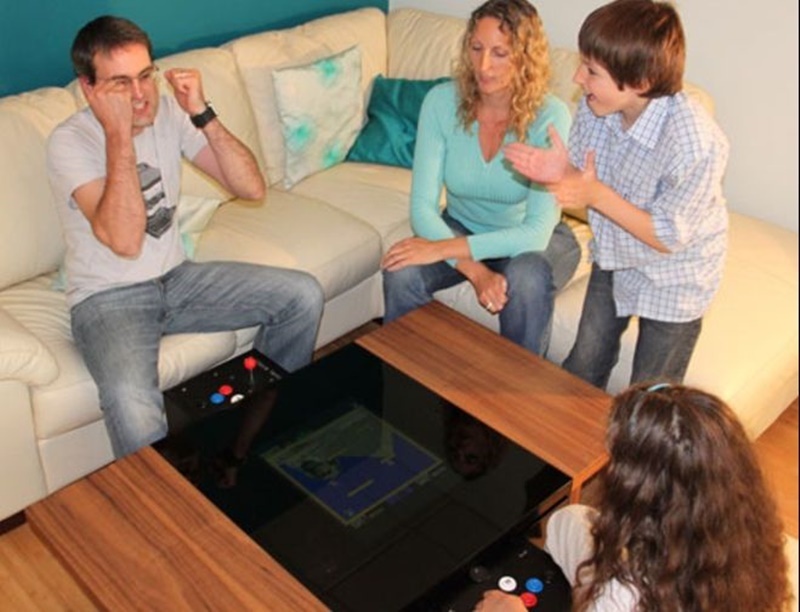 The classic Nintendo Entertainment System hold a nostalgic place in the hearts of many people across the world. 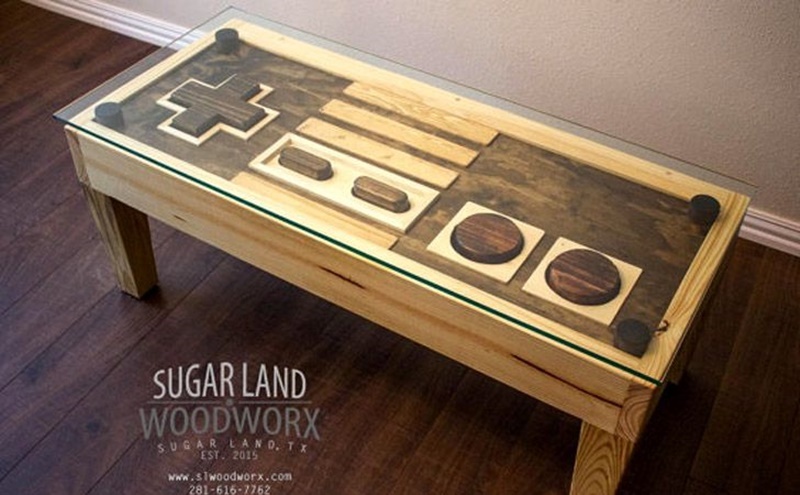 If you are a gamer this might be the coffee table for you. 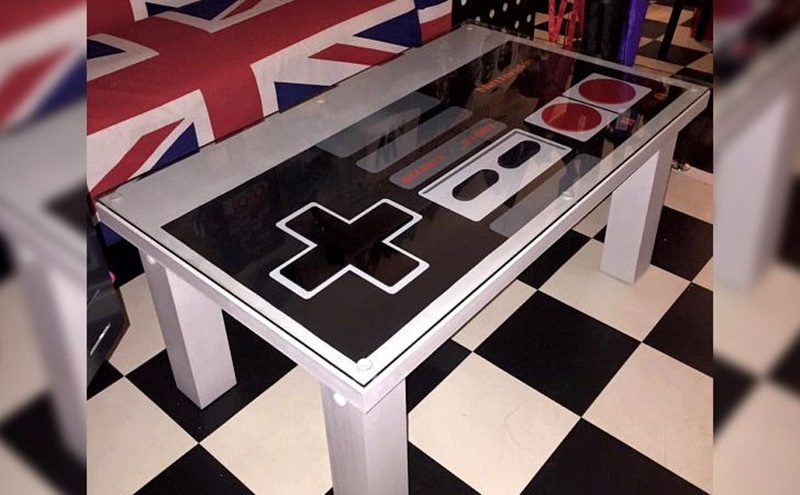 This would be ideal for a separate games room or put it in the man cave where the boys and girls can make the most of it. 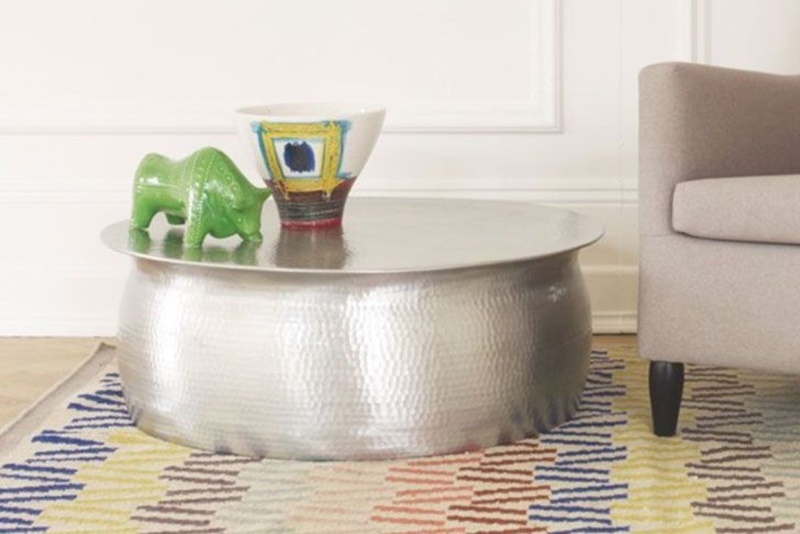 Resin coffee tables are in right now. 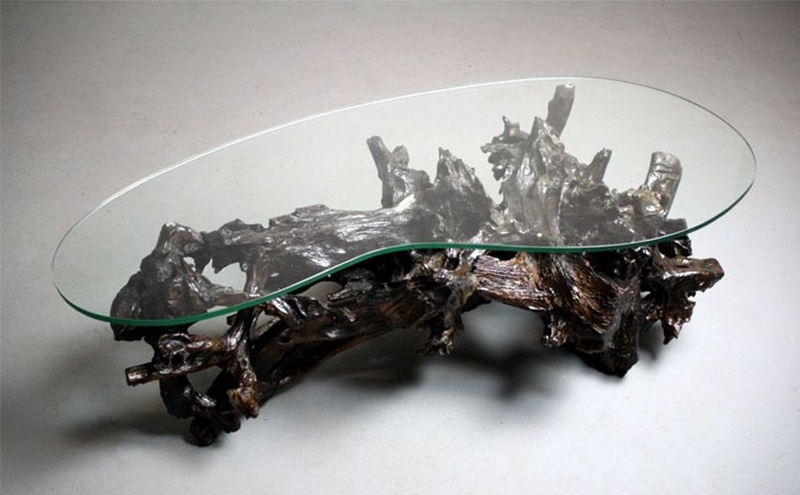 This coffee table uses partial natural materials and the flat surface is complete by pouring resin over the rough surface. 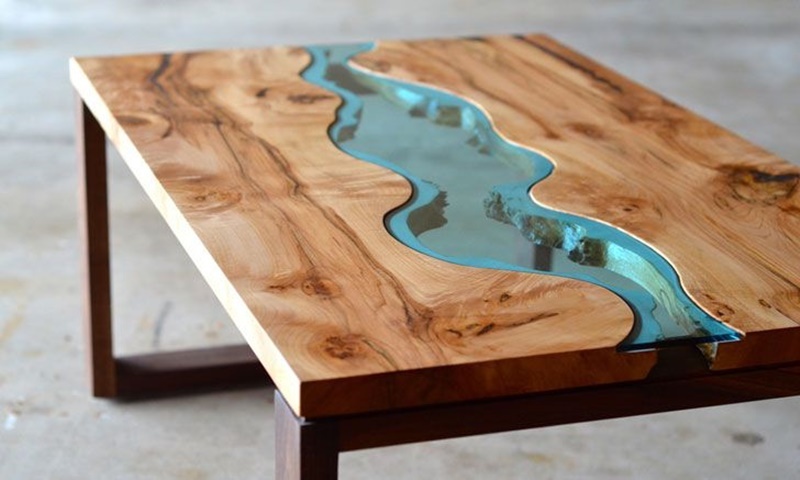 It looks like a beautiful ocean with islands scattered about throughout the coffee table. 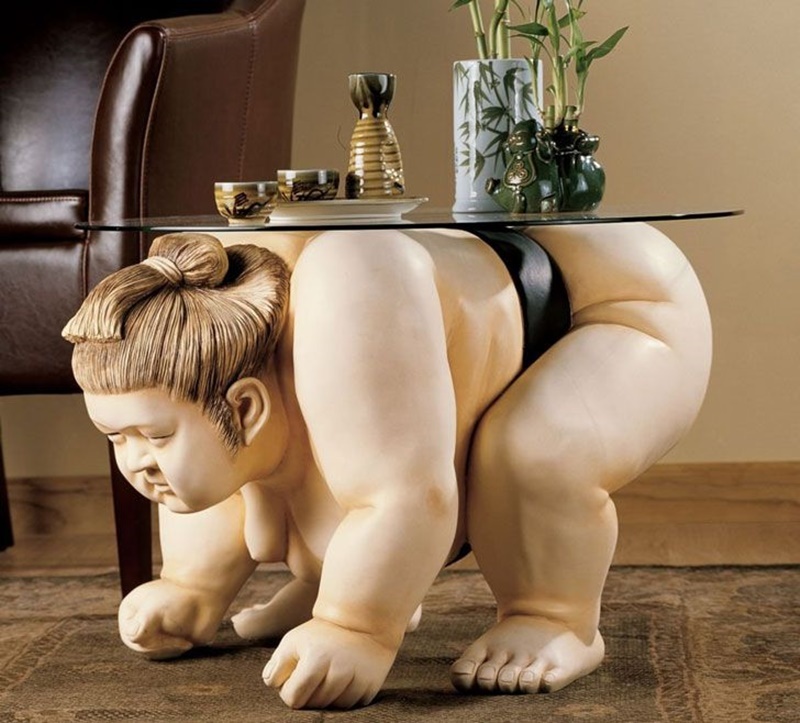 This would be a welcome addition to anybodies living room. 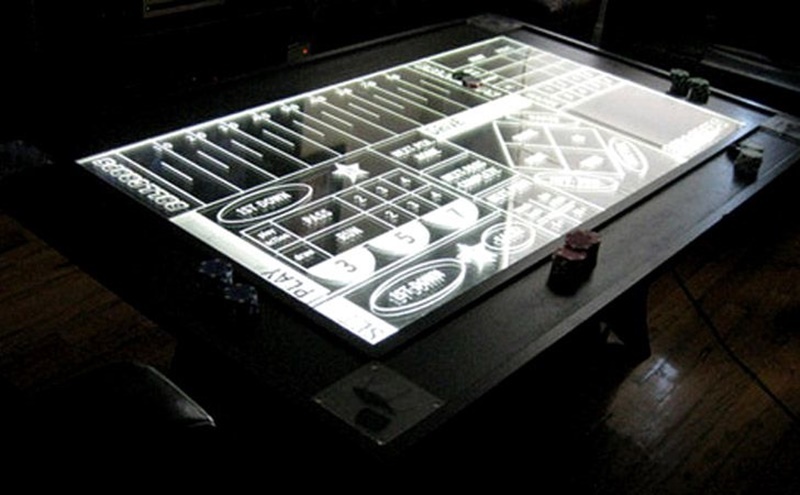 The above image features a flashback from the retro era. 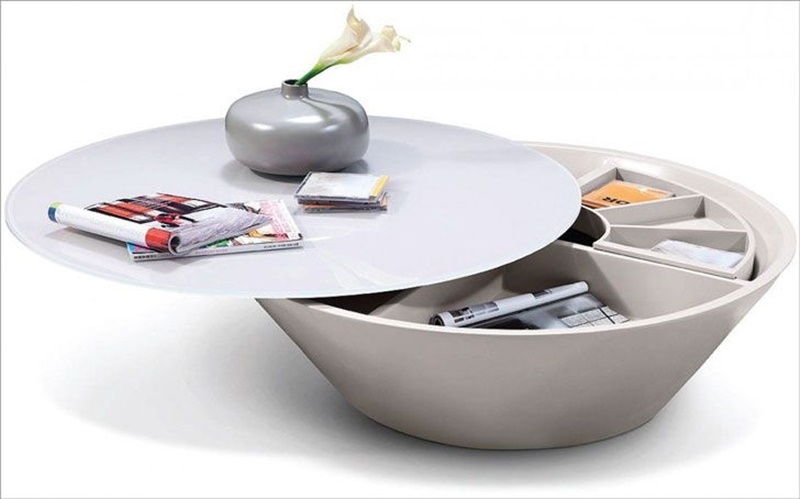 It’s simple box shape and smooth lines look and fantastic and are practical at the same time. 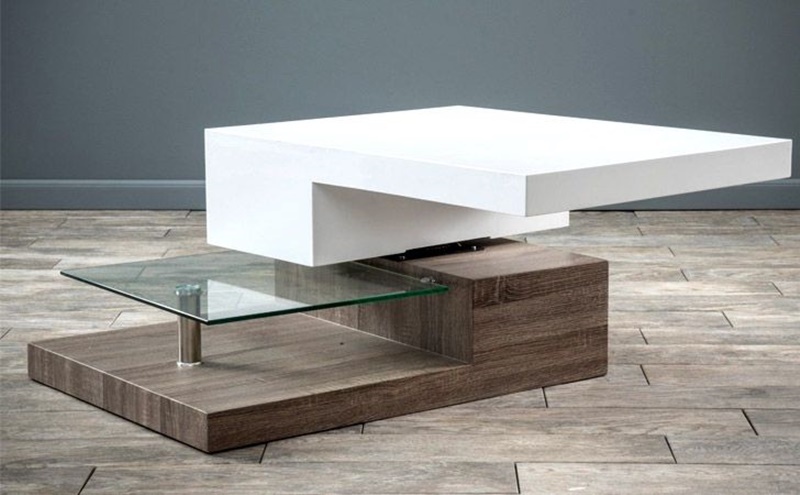 This is an interesting looking coffee table. 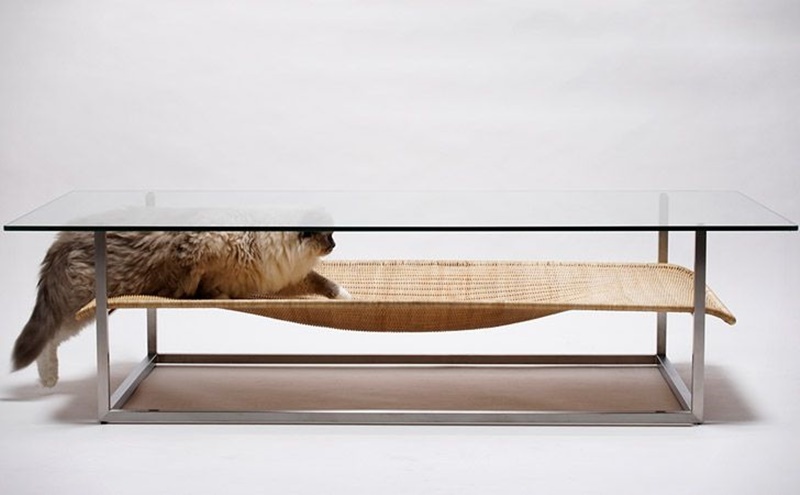 It looks like a pets bed that you can put your feet on as well. 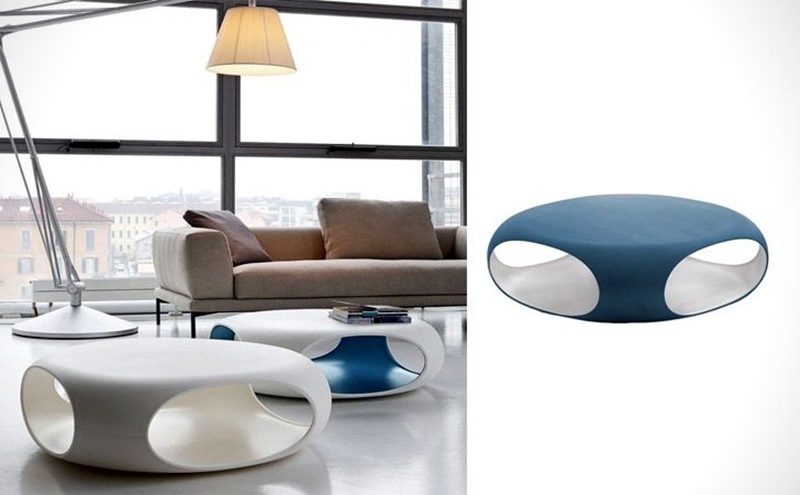 The pod style shape looks modern. 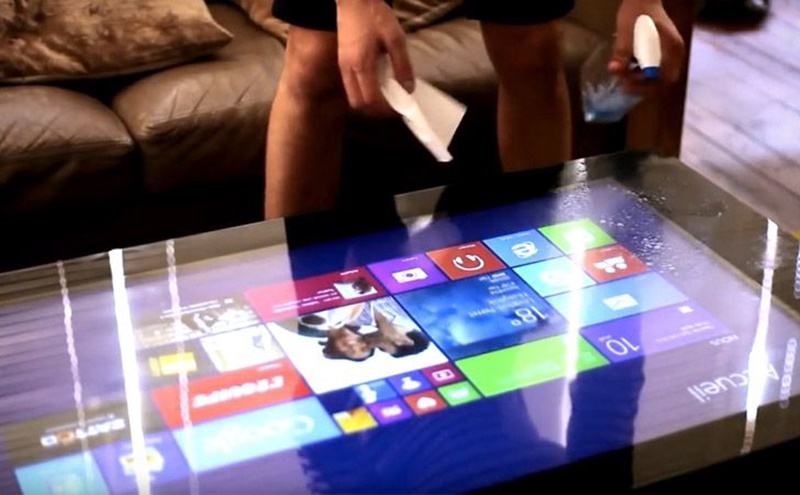 You could almost say that it looks futuristic. 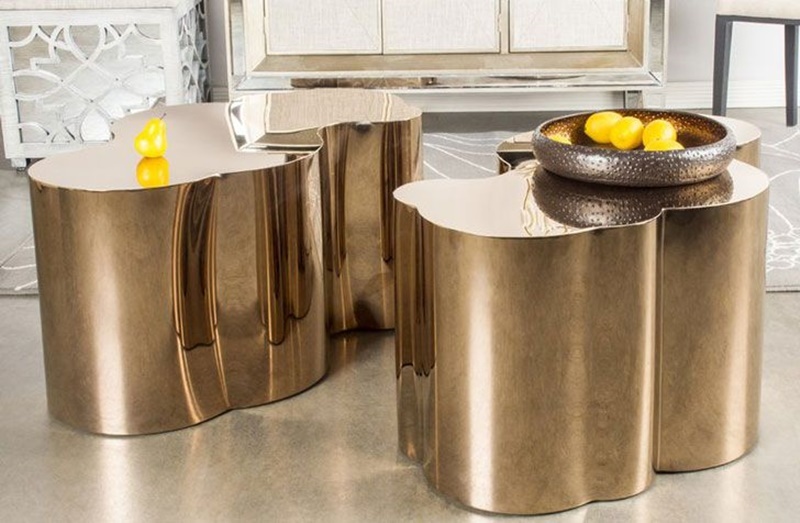 Bring a piece of Blade Runner to your living room with one of these bad boys. 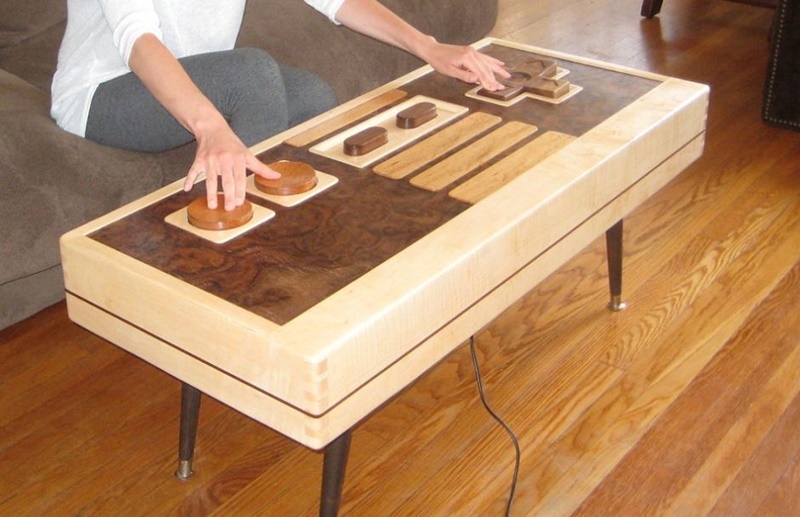 As far as novelty coffee tables go this one takes the cake. 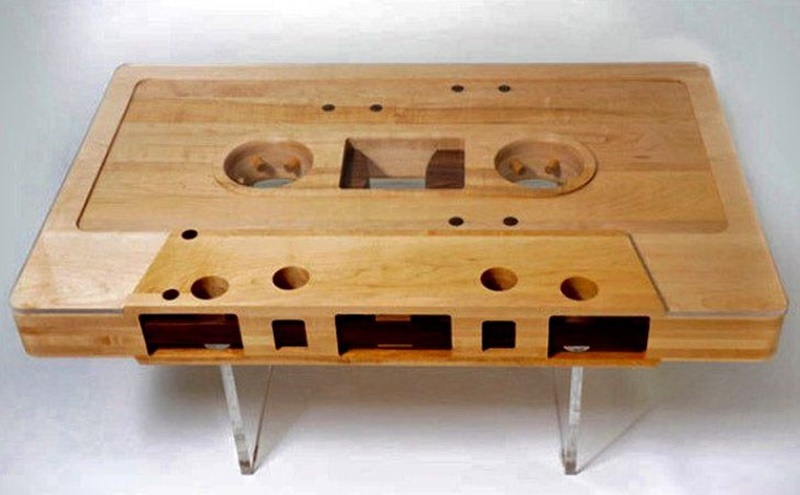 Do you remember making mixed tapes for your friends? Do you remember having to rewind tapes when you were a kid and if a tape messed up you had used a pencil to wind the tape back onto the reel. Kids today will never have to do that. There is no rewinding going on whatsoever. 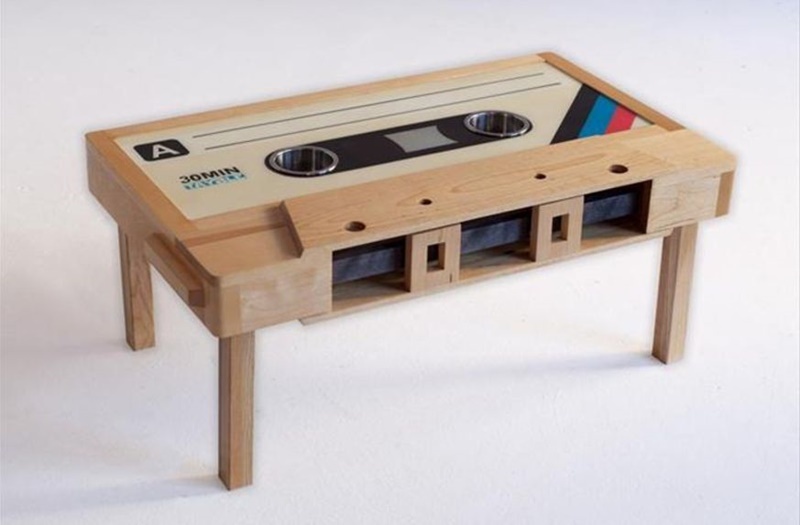 This table plays homage to the good old days when mixed tapes meant something and mobile phones weren’t a thing. People were getting around with their walkmans listening to tapes of Run DMC and the likes. 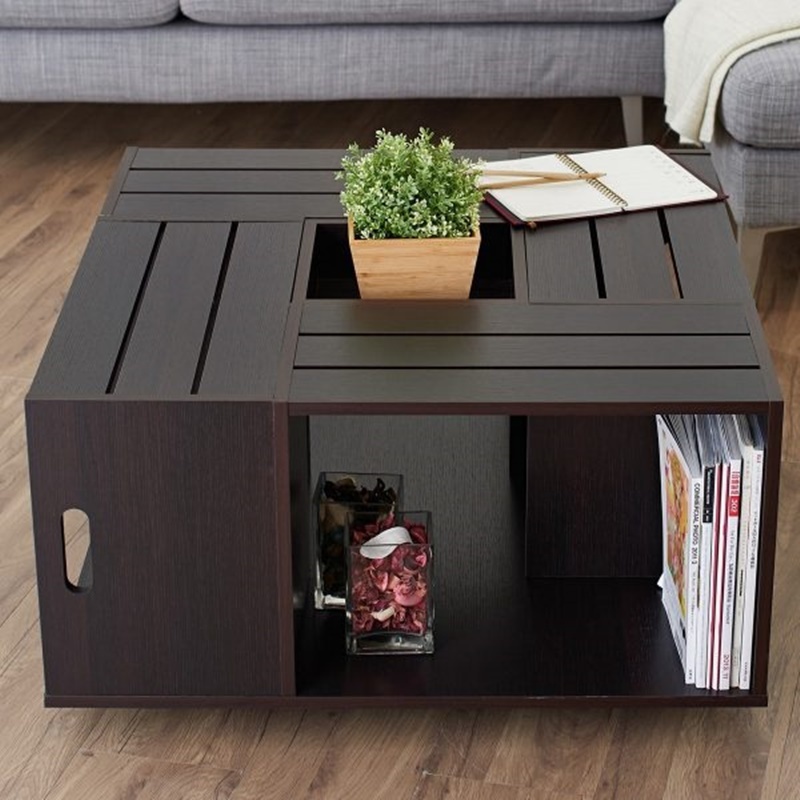 There are many finely engineered space saving coffee tables on the market that fold out to bigger tables and then can contracted to a smaller size. 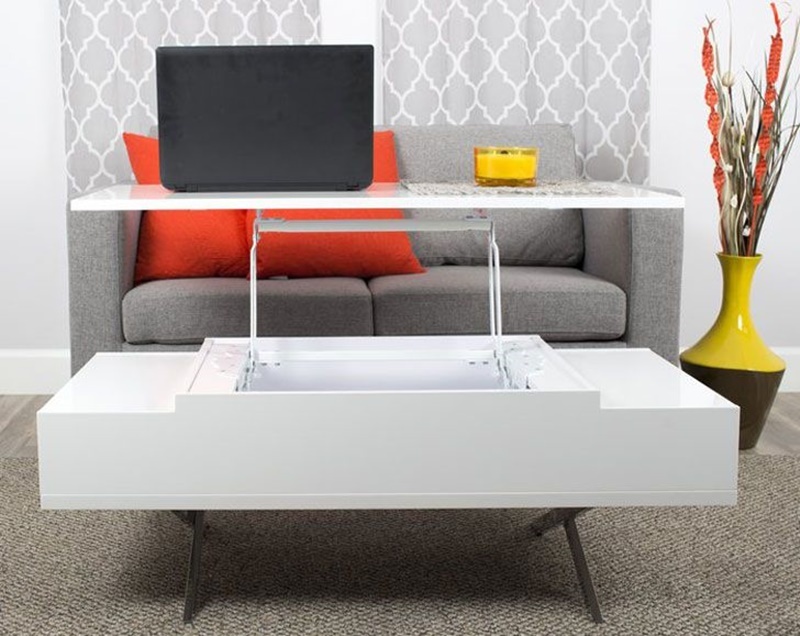 They are ideal for people with a smaller apartment. 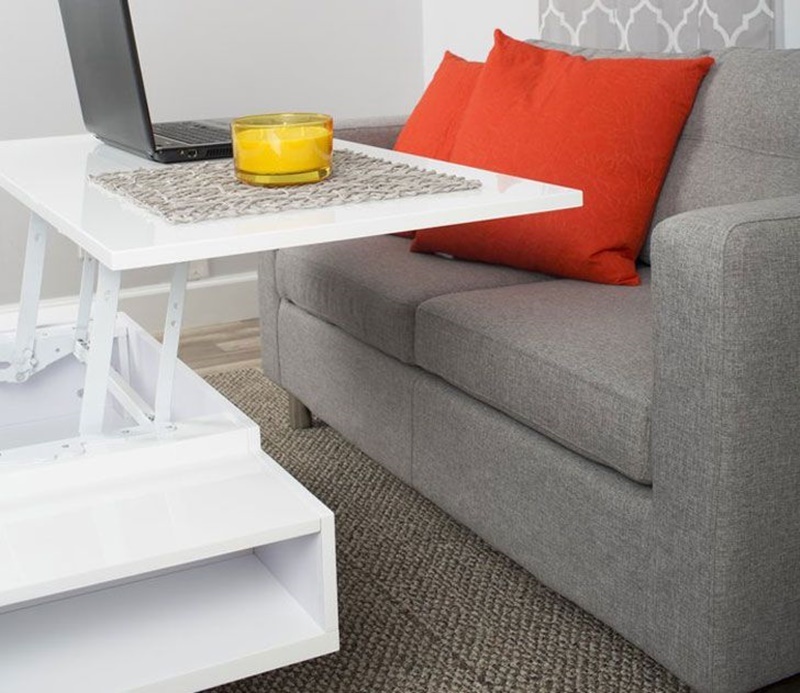 When the friends drop by you can always extend the table and then they simply and effortlessly fold down to smaller size when your on your own. 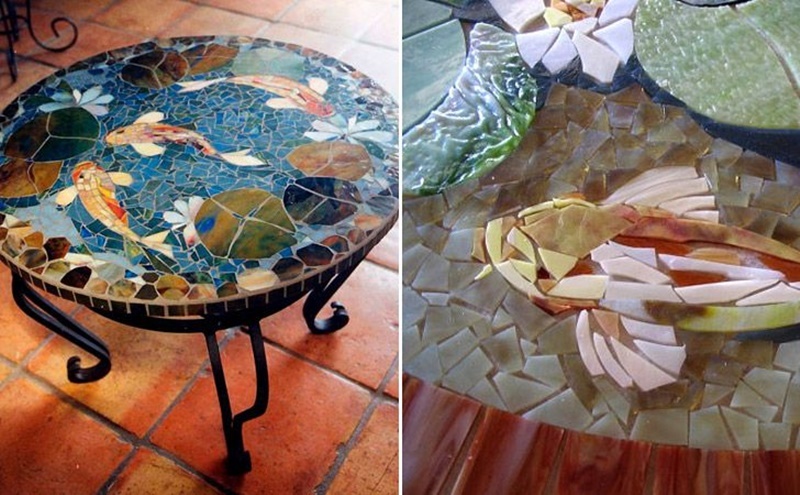 Mosaics are made from broken tiles and can make great surfaces for coffee tables. As you can see in the image above the lady has used coy fish which looks great on the surface. 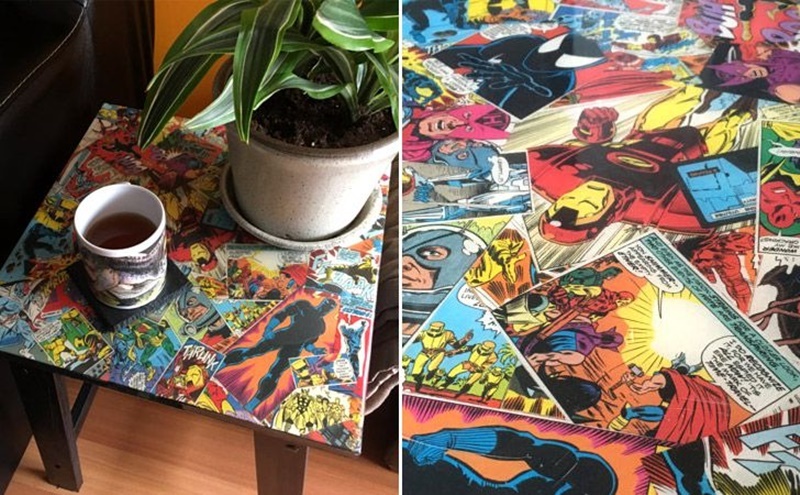 Of course they can be using anything as the subject all you have to do is smash a tile and resemble it in whatever pattern is to your liking. There aren’t exactly 99 like the song but you get the idea. 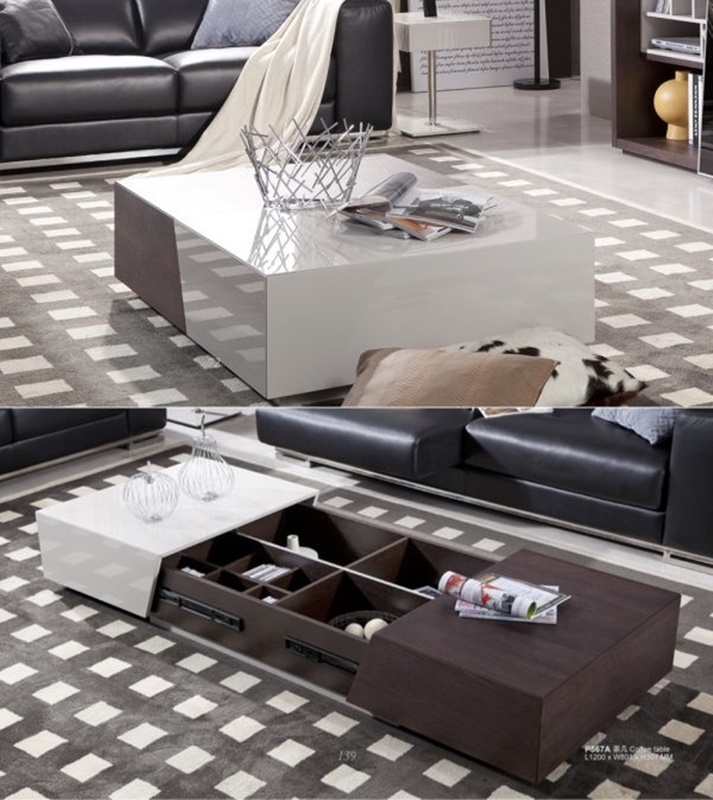 I love this coffee table and the idea behind it. 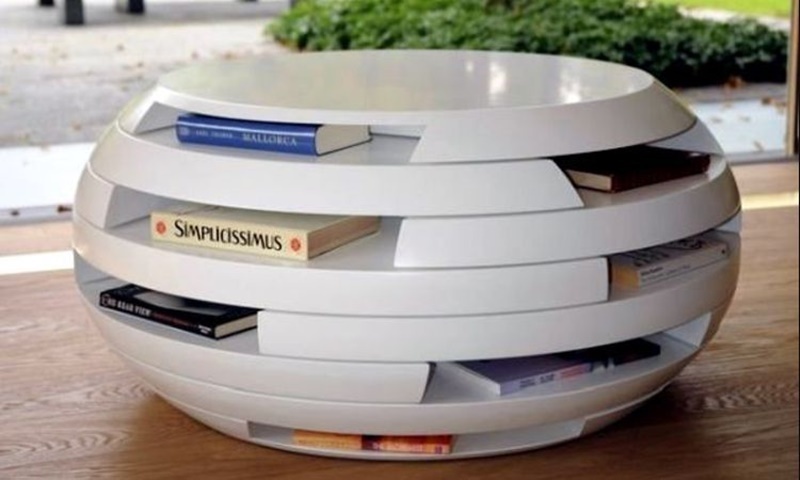 It’s very creative and I would happily have it in my home. 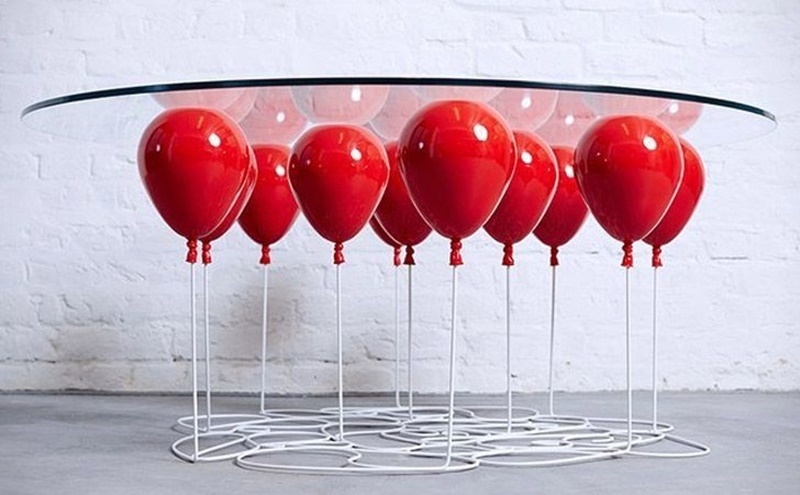 The balloons look like they are holding the coffee table up. 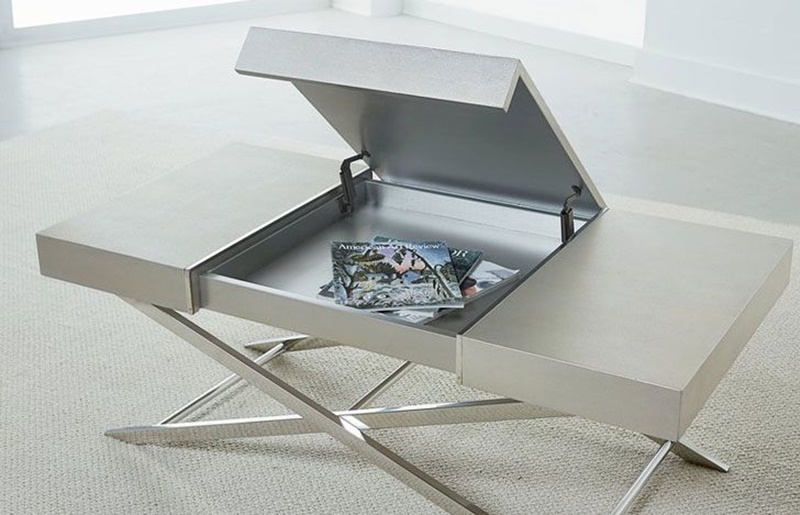 Ever since Batman started saving Gotham from the evil forces he has gained quite the following and merchandise is literally flying out the door. Bruce Wayne being the money man he is was quickly to capitalize on the success of Batman and convert his brand into some cold hard cash. 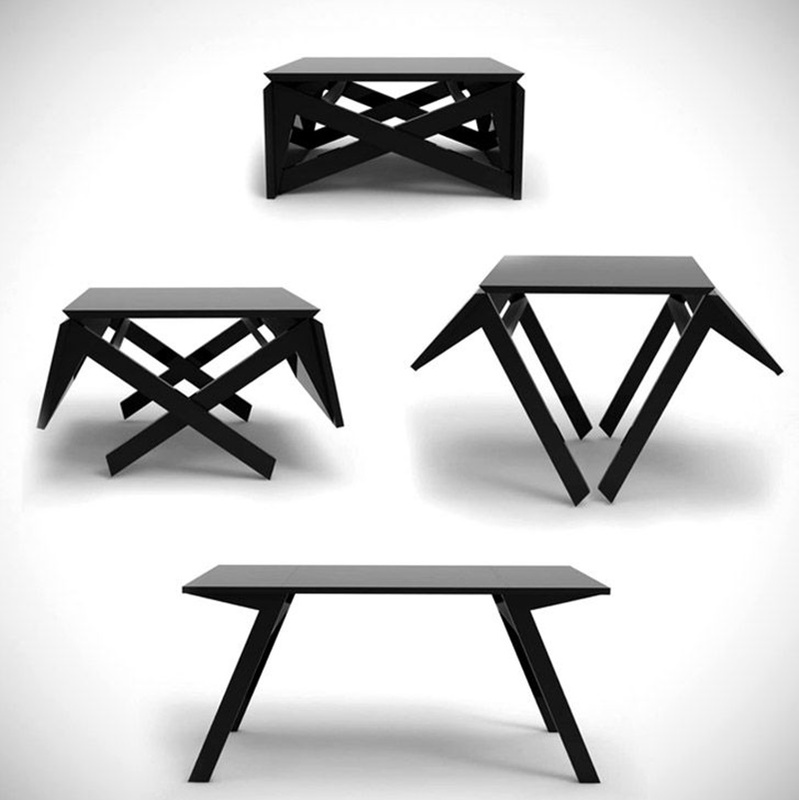 The logo is pretty much on anything you can get your hands on including this sweet coffee table as well. 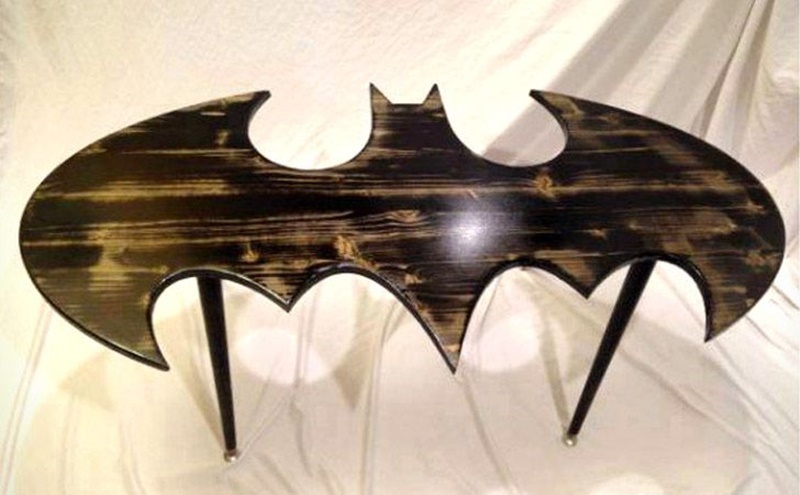 Or perhaps some fan liked Batman so much they created their own table in the shape of the bat signal. 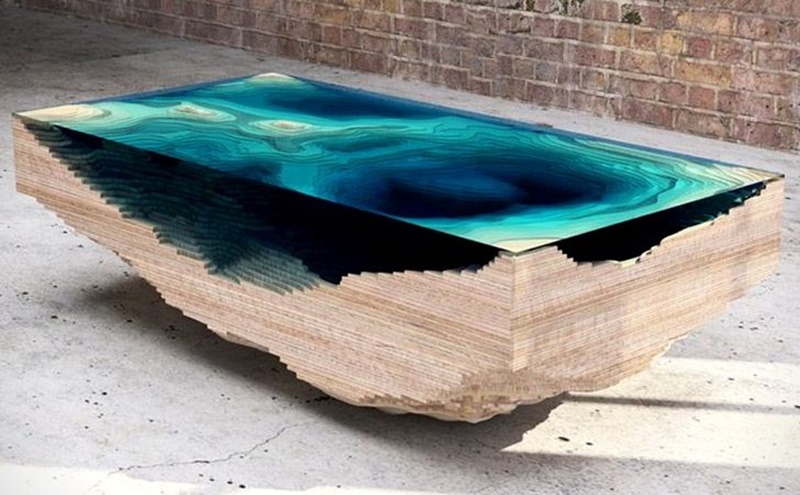 Is it an aquarium or a coffee table? Well it’s both. 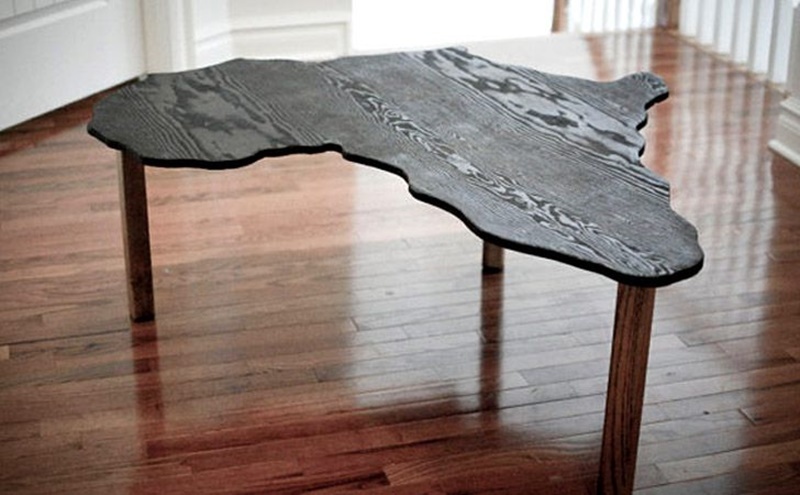 Have you ever looked at your coffee table and wondered where all the fish are? 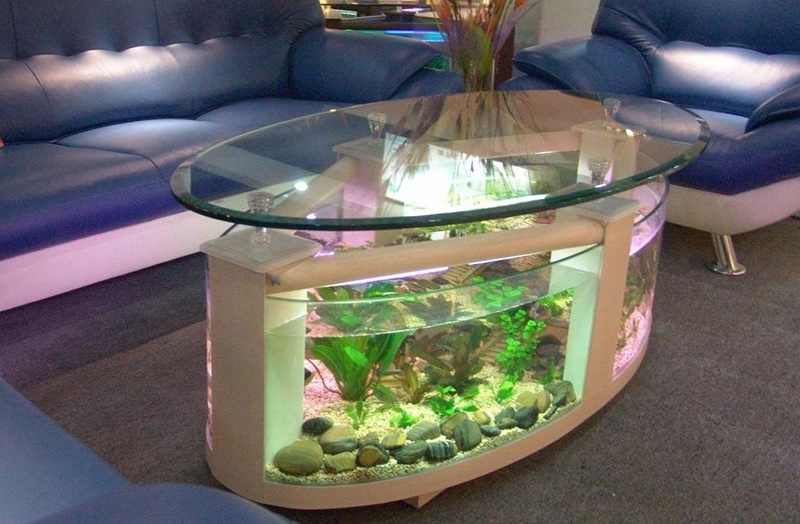 Or have you ever look at your aquarium and wished you could put a coffee cup on it? 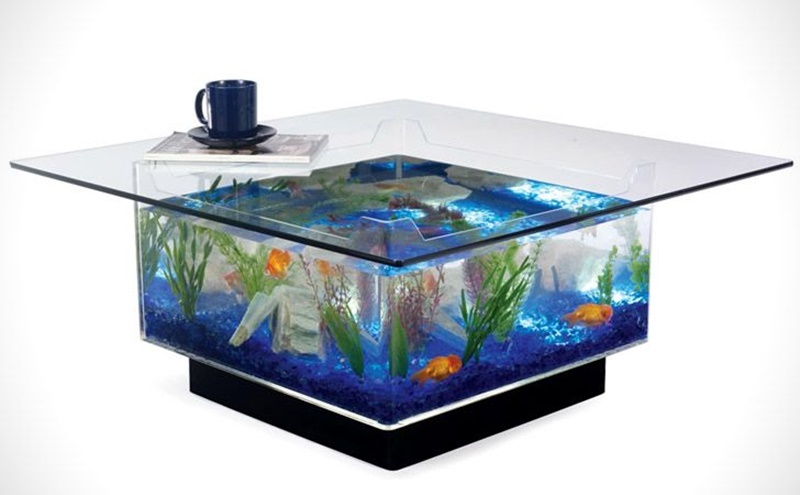 Well now you can with the amazing coffee table aquarium fun pack. 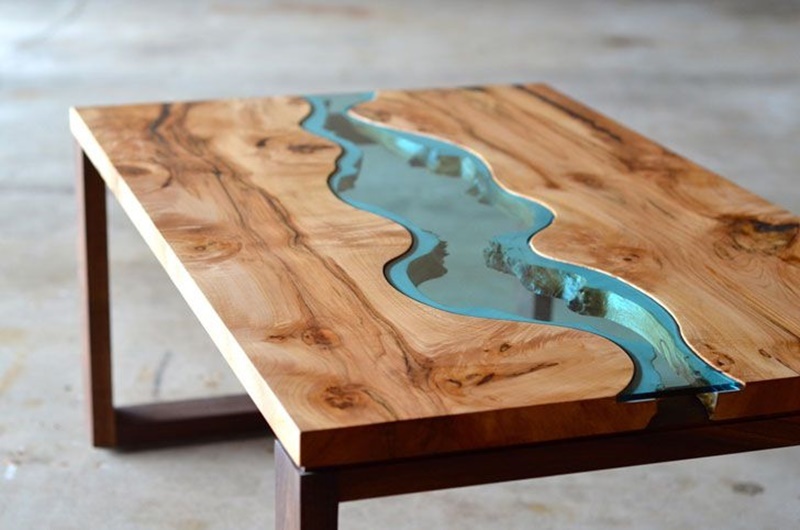 Now you can drink your coffee and gaze at the aquatic wonderland of your dreams. As you put your coffee cup down you get an above view of the fish eagerly waiting below for you to feed them. 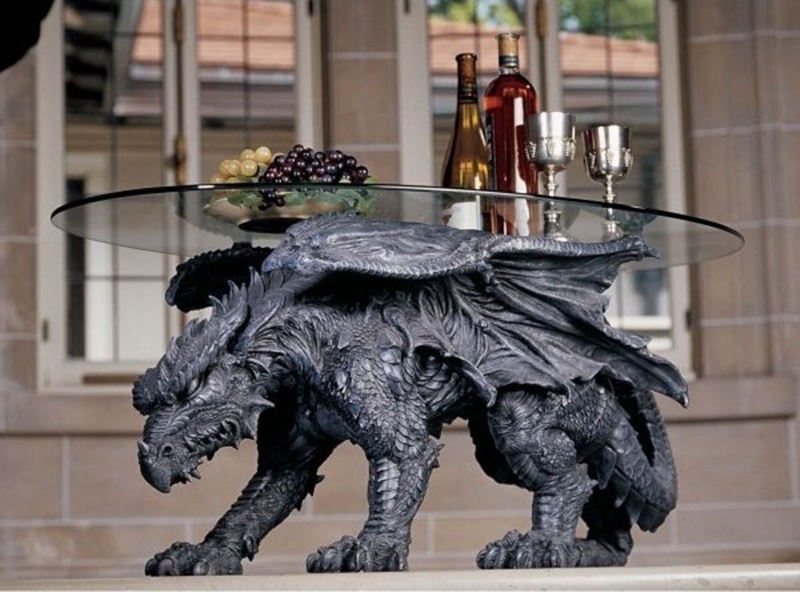 Are you fan of the lord of the rings movies? 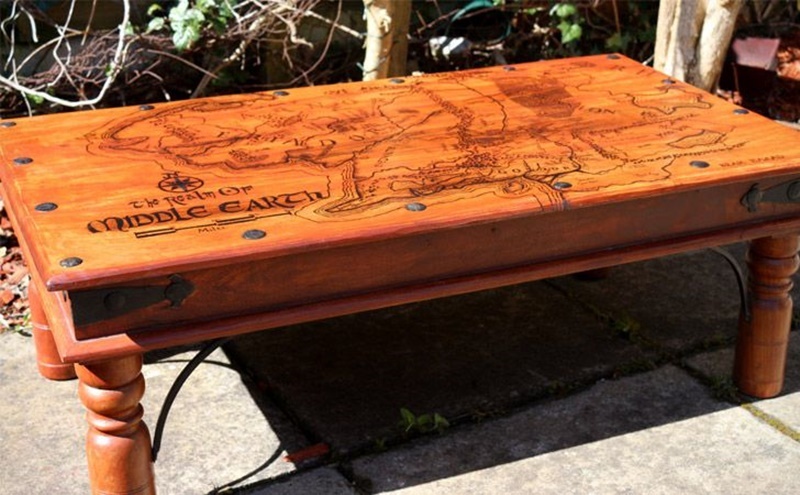 Have you ever wanted a map of middle earth on your coffee table just in case you ever have to destroy a ring? 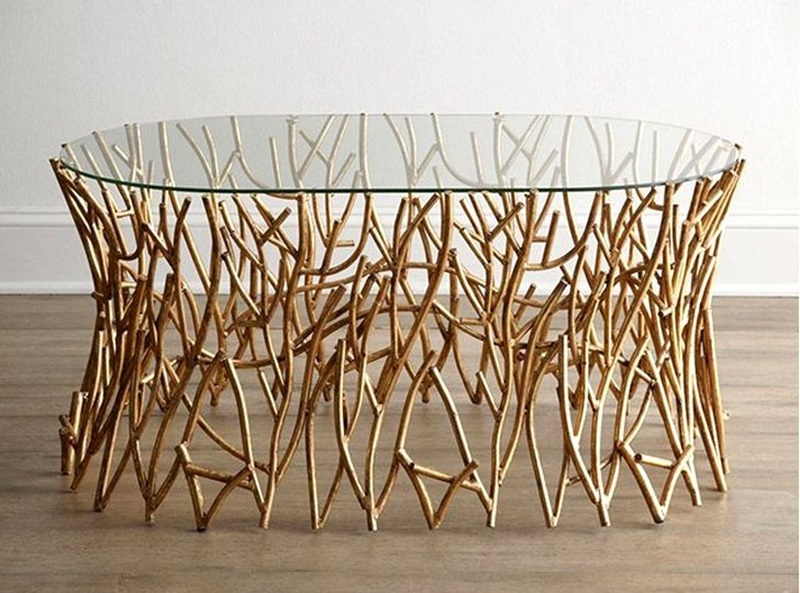 Well this coffee table is for you. You never know when a wizard is going to give you a mystical quest to take a magic ring somewhere to destroy in the fires of hell. That’s why you might need the map so you know where you have to go. 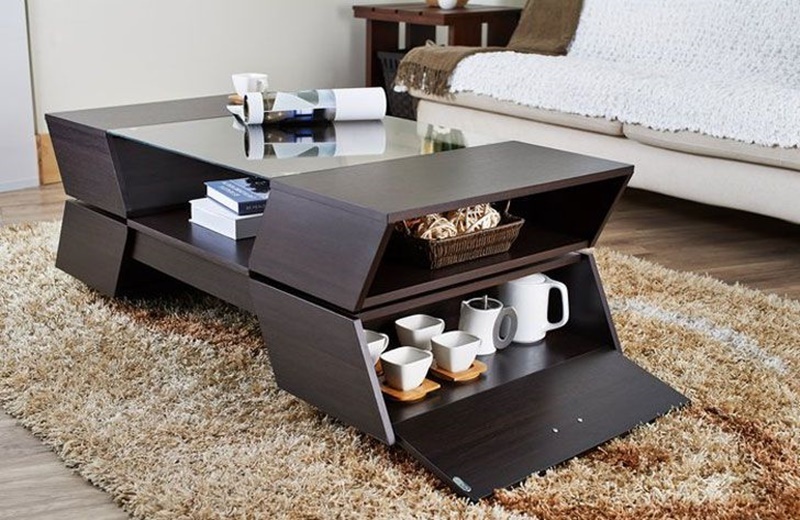 If it never happens, don’t worry, at least you will have a cool coffee table to set your coffee on. 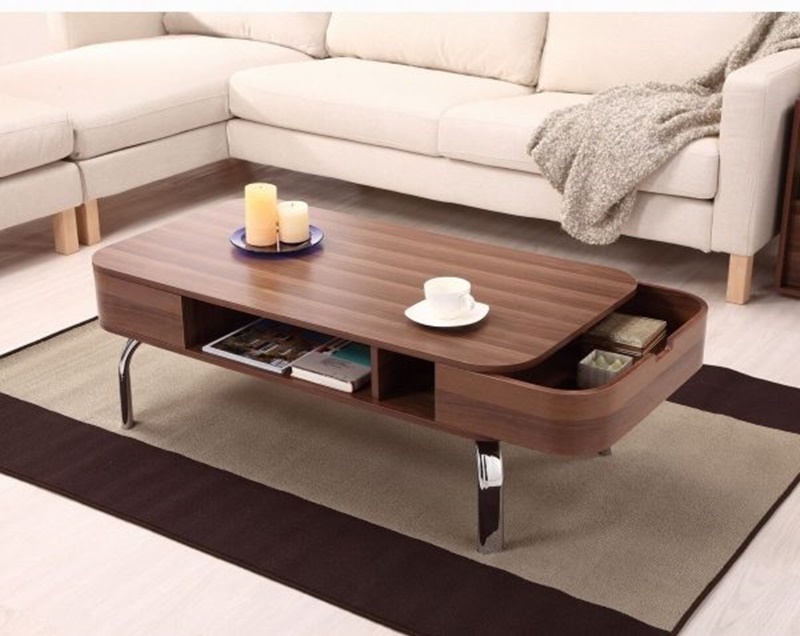 The above coffee table is an abstract artistic piece. 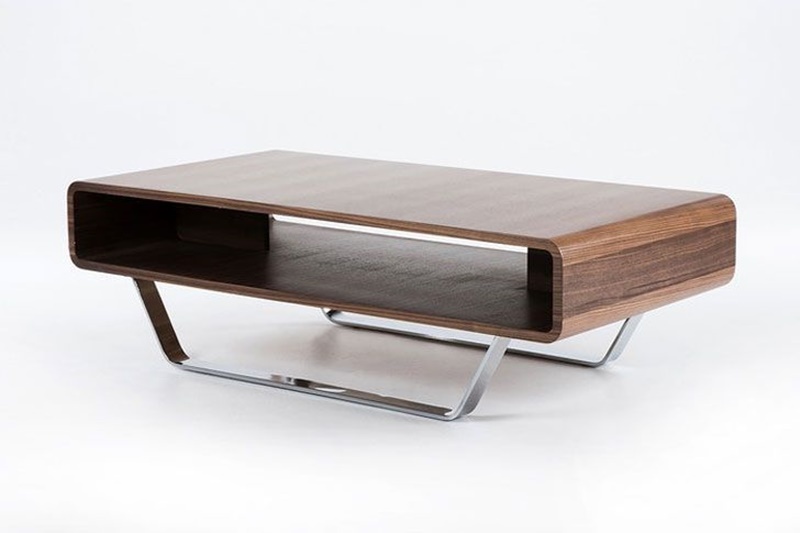 It looks great as a coffee table and piece of art as well. 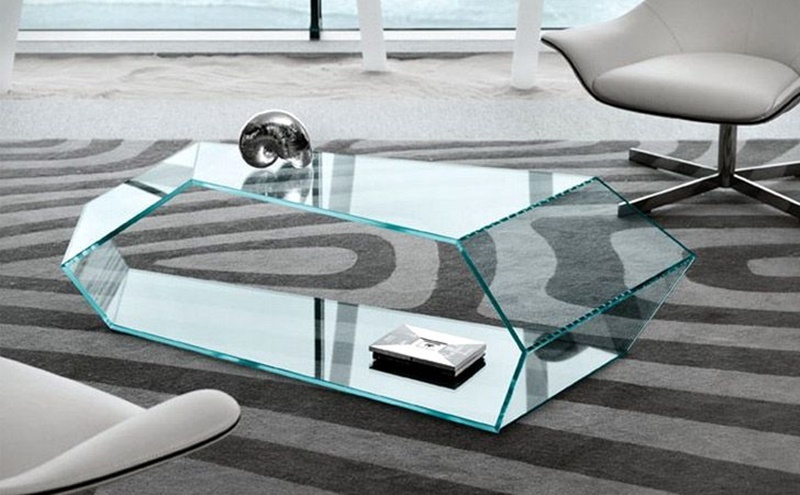 The base is made out of steel plates and the surface is glass. 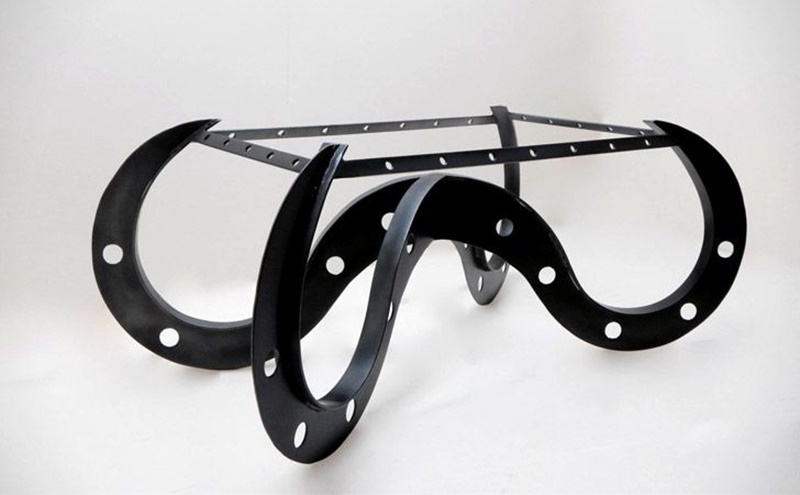 The steel plates have been bolted together. 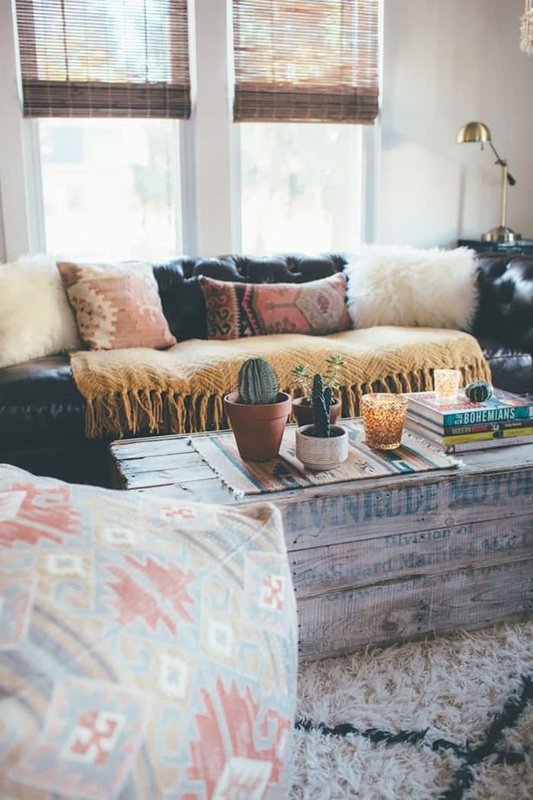 This clever design utilizes a series of apple crates stacked in various fashion so that the openings also act as shelve space. 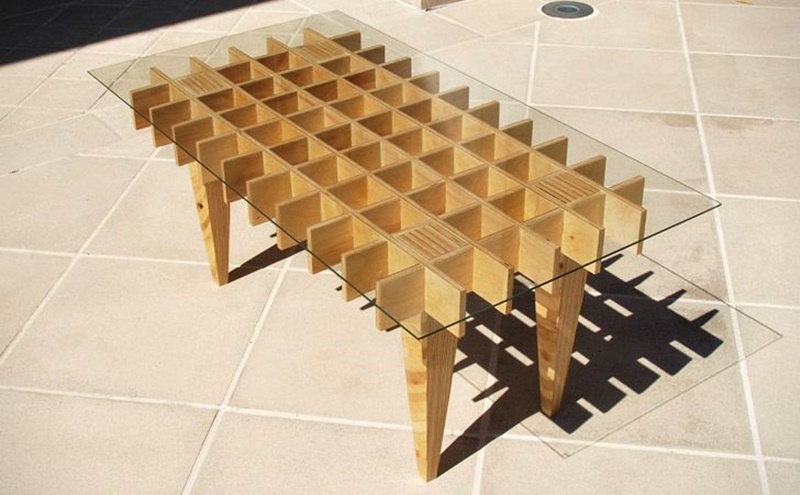 It just goes to show what a bit of creativity can do with some recycled materials. 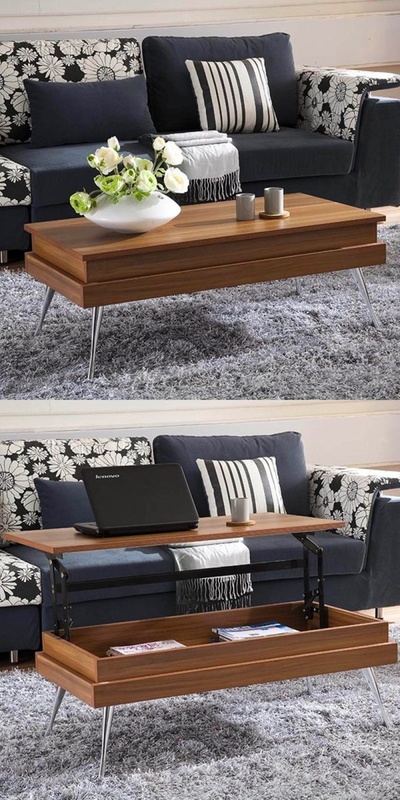 It looks amazing and is quite practical as well. 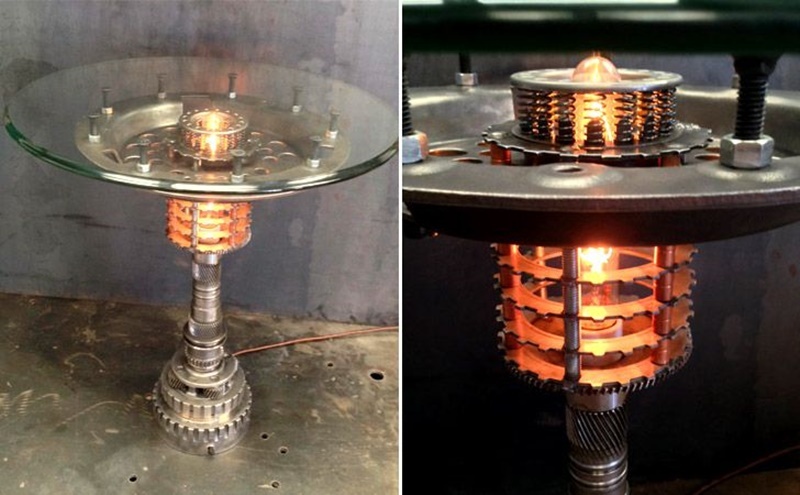 The gap in center allows for a nice centerpiece to be installed. 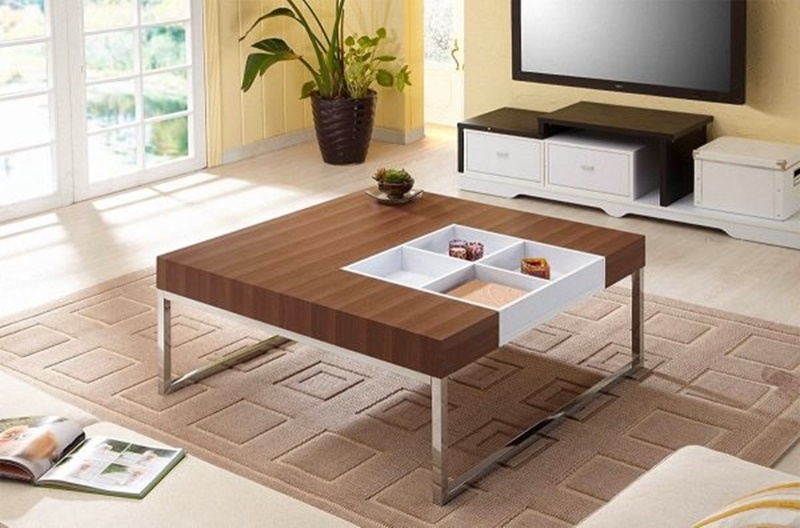 This coffee table is really impressive. 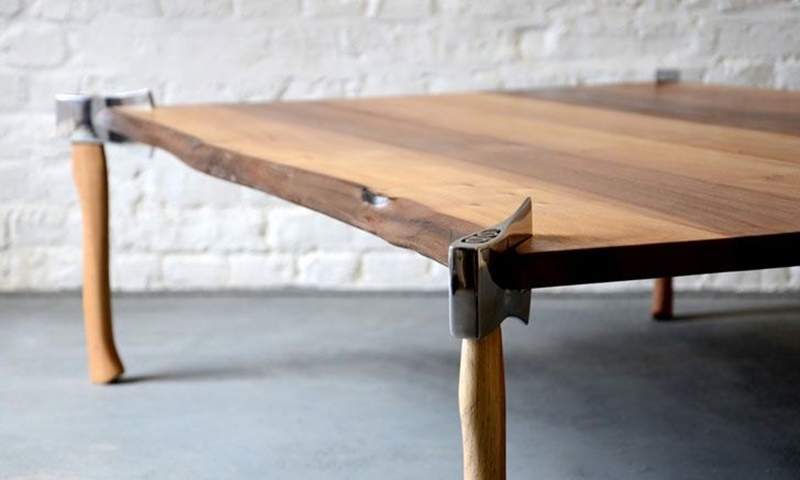 Check out the legs how the craftsman has used axes for the legs to mix things up. 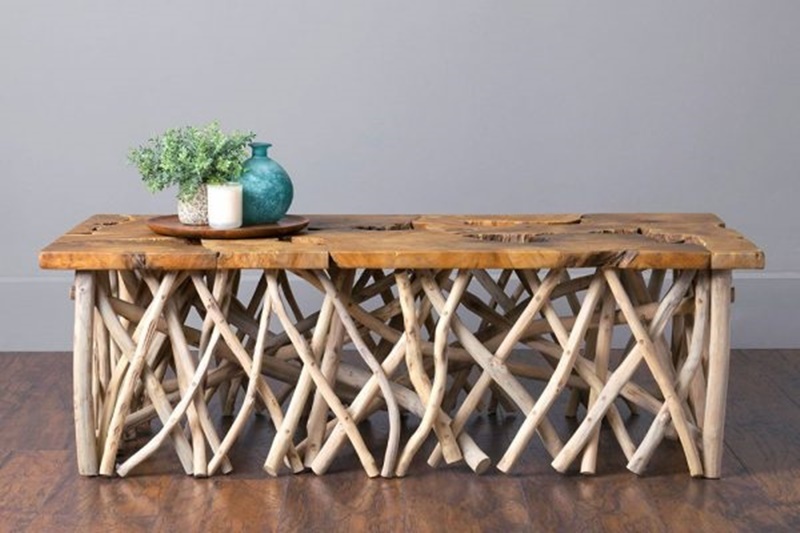 The natural rustic finish of the surface really sets it off making it one of the best pieces on the list. 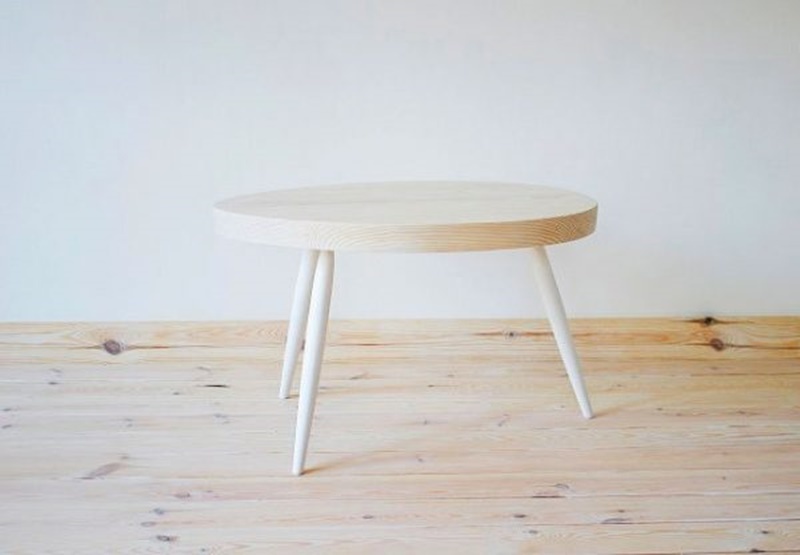 What would you use for legs on your table? Hit us up in the comments box below and let us know. 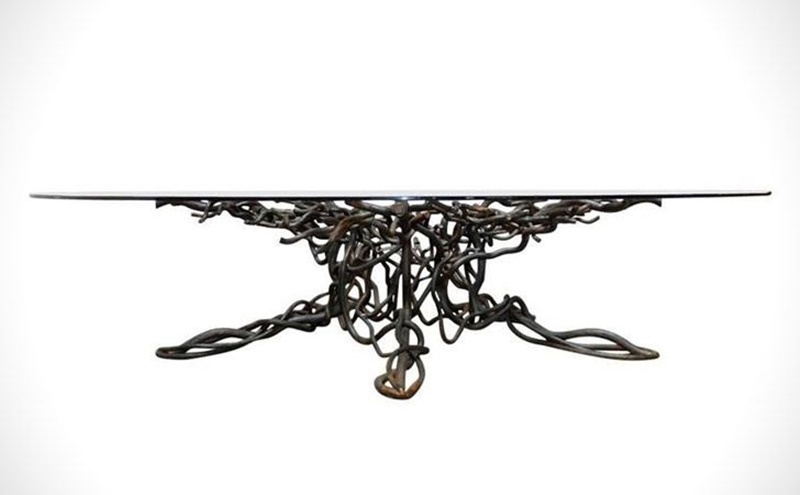 This is one crazy coffee table and I don’t think I have ever seen anything like it. 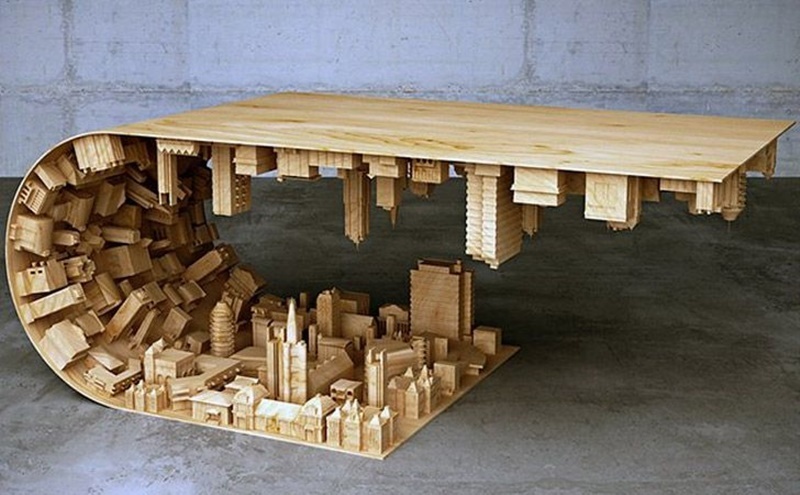 It features a city on the under side of a curved piece of what appears to be ply wood. 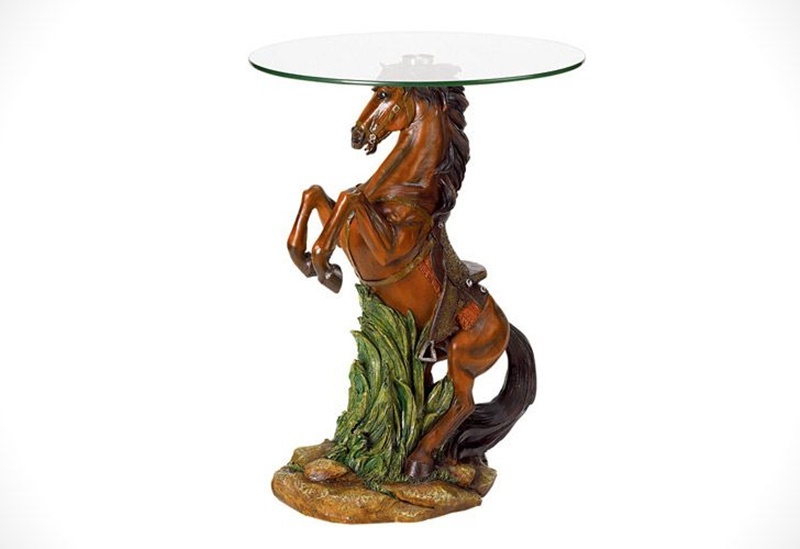 I’m not too sure how stable the would be but it looks cool regardless. 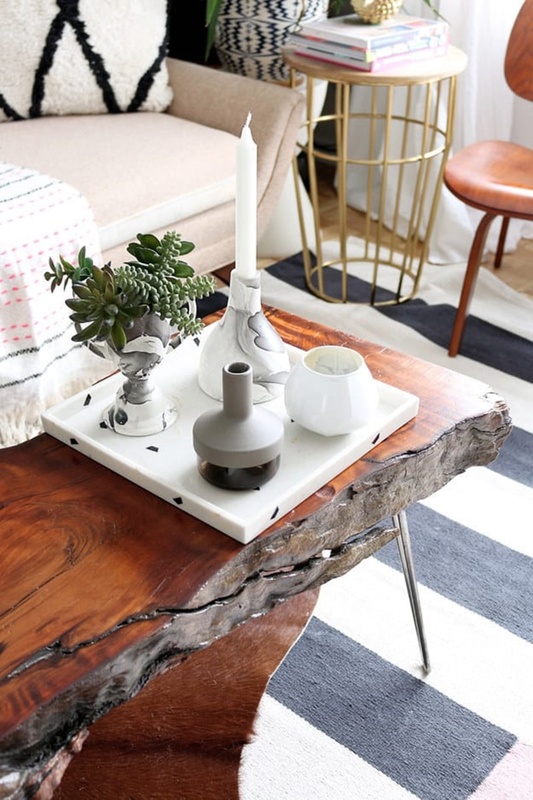 Rustic timber coffee tables are in right now and the bigger and chunkier the better. 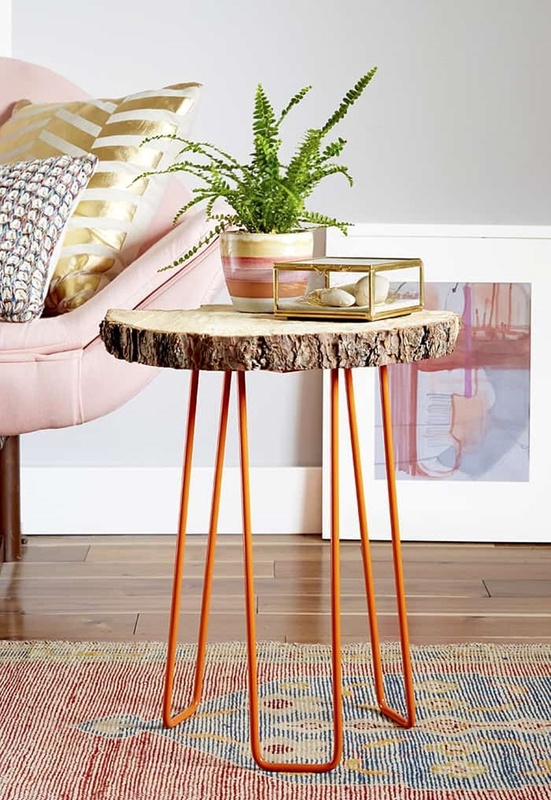 The great thing about chunky bits of timber is that they are so sturdy can stand up to all the bumps and bruises. 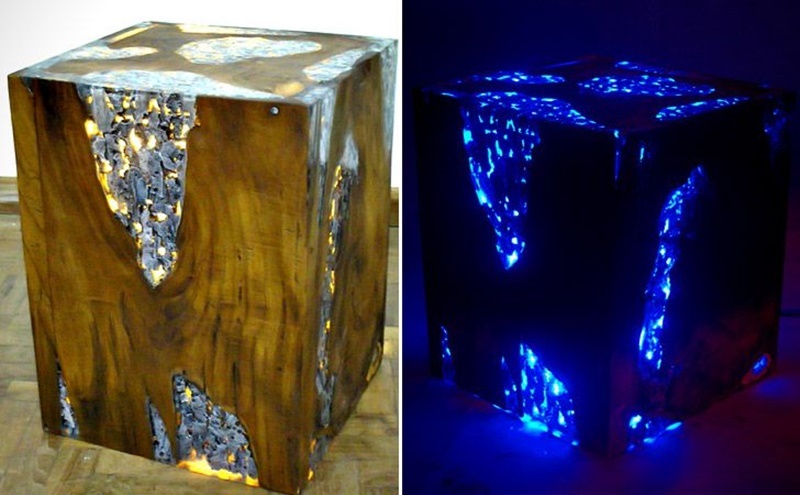 They also look amazing. 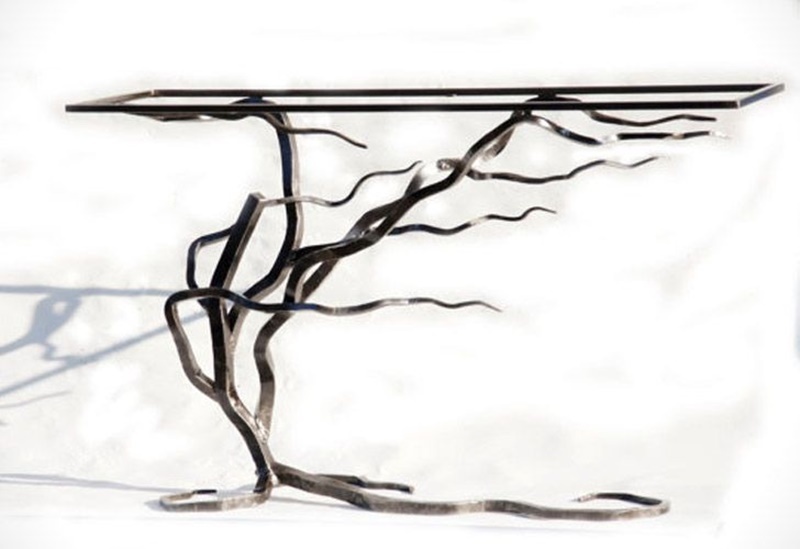 Some designers simply cut a tree length ways, put some legs on it then you have yourself a coffee table. 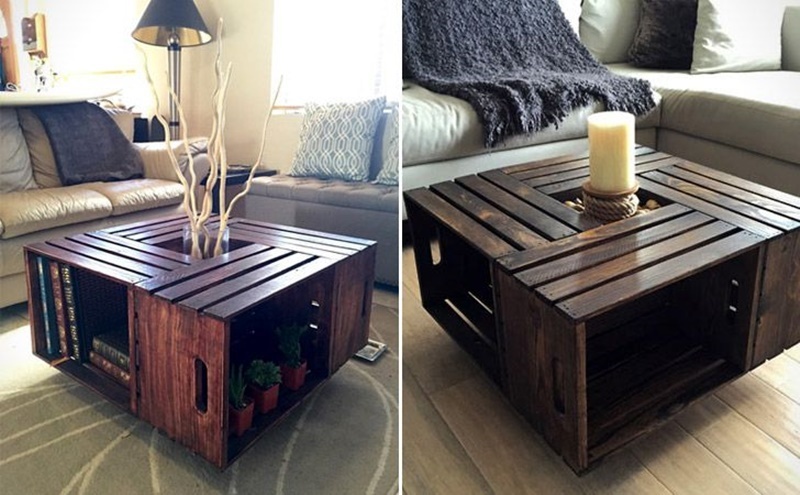 If you fancy yourself a bit of DIY expert you might even be able to make your own. 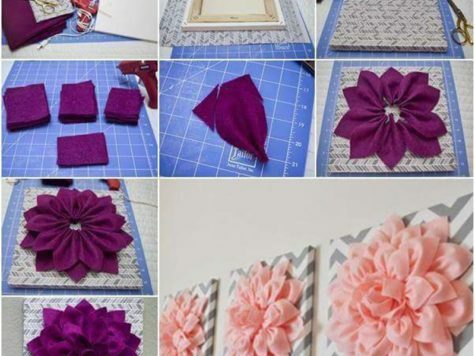 There are many tutorials and tips on youtube for you to follow along. 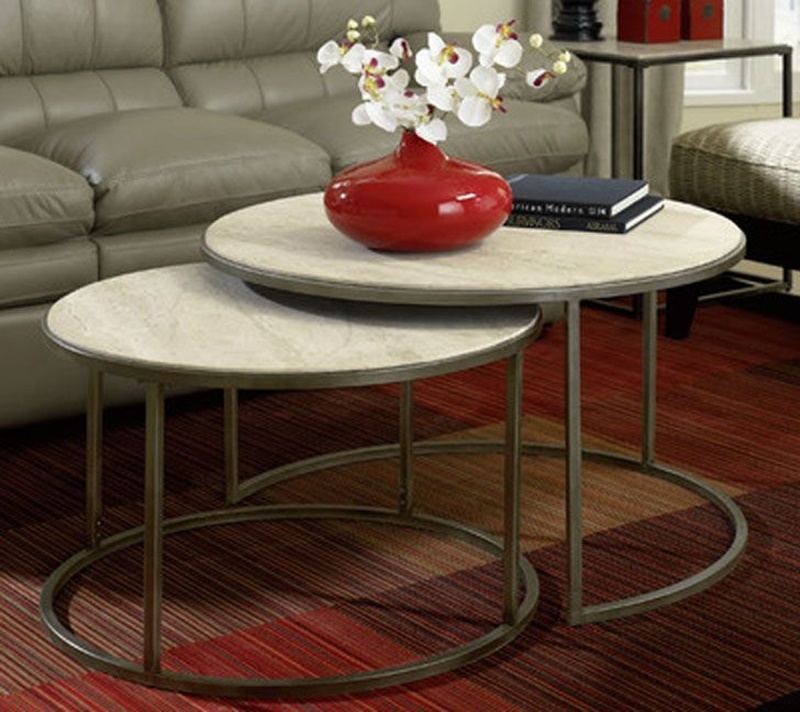 Marble is a natural stone that formed from sedimentary rock and makes a great material for building. 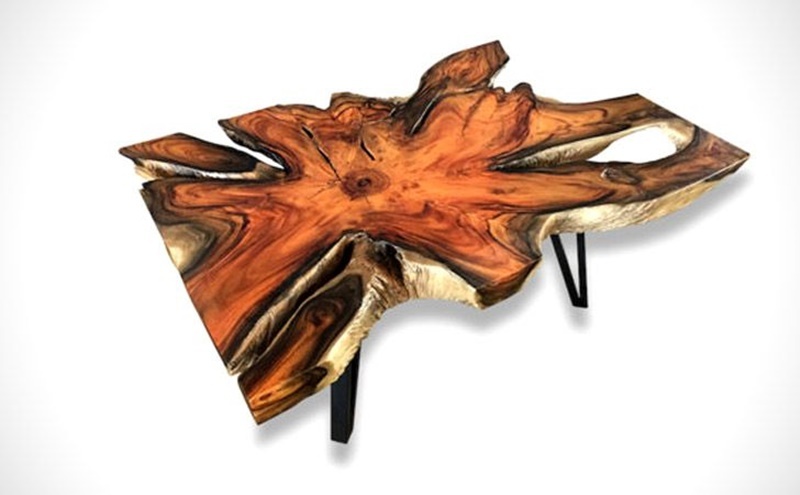 It’s beautiful natural color and natural markings make it perfect for coffee tables and bench tops. 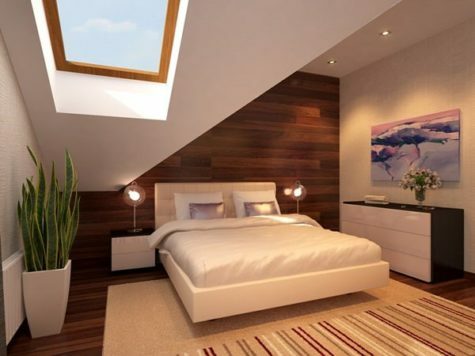 Not only that it also looks great on bathrooms and due to its porous nature, marble is naturally non slip. 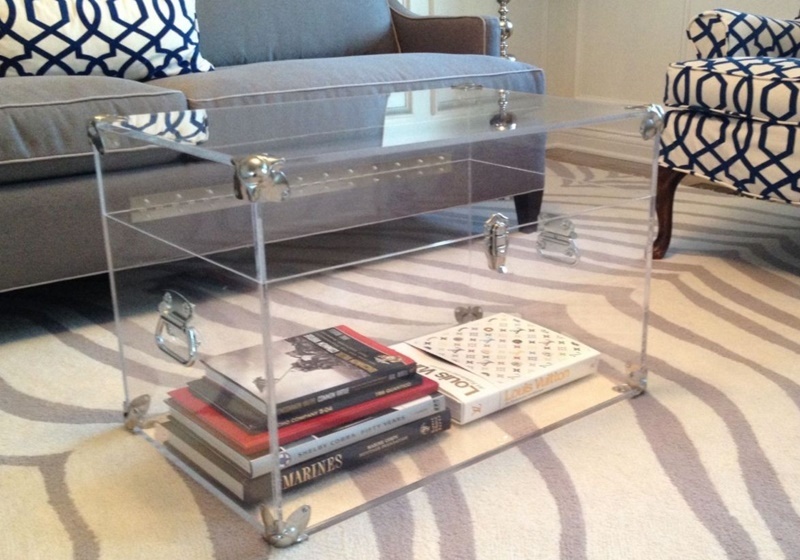 Here is another very clever idea for a coffee table. 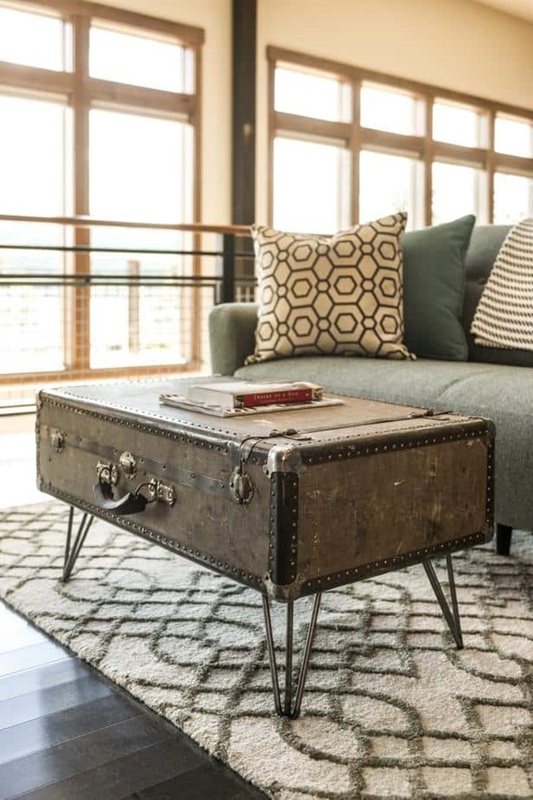 This person has used an old trunk suit case and attached legs to it for a coffee table. 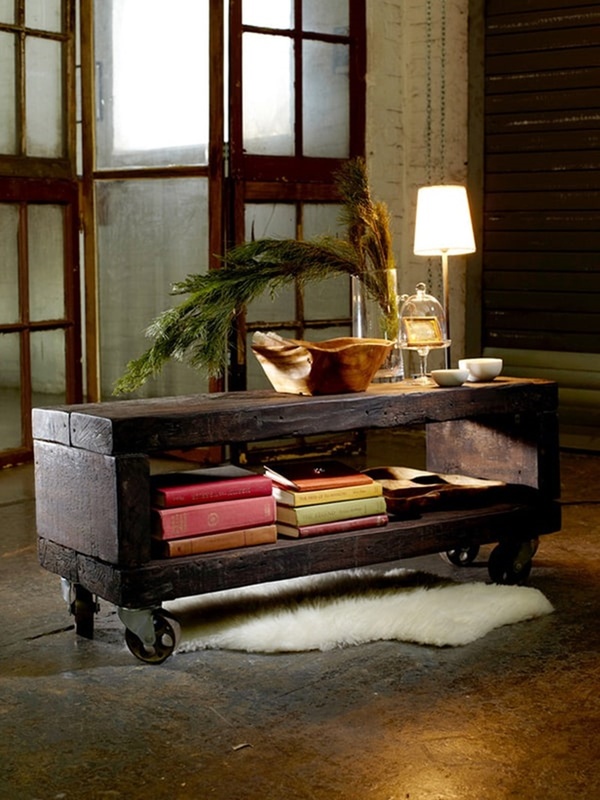 That trunk sure does look really old and adds an element of antique the room. 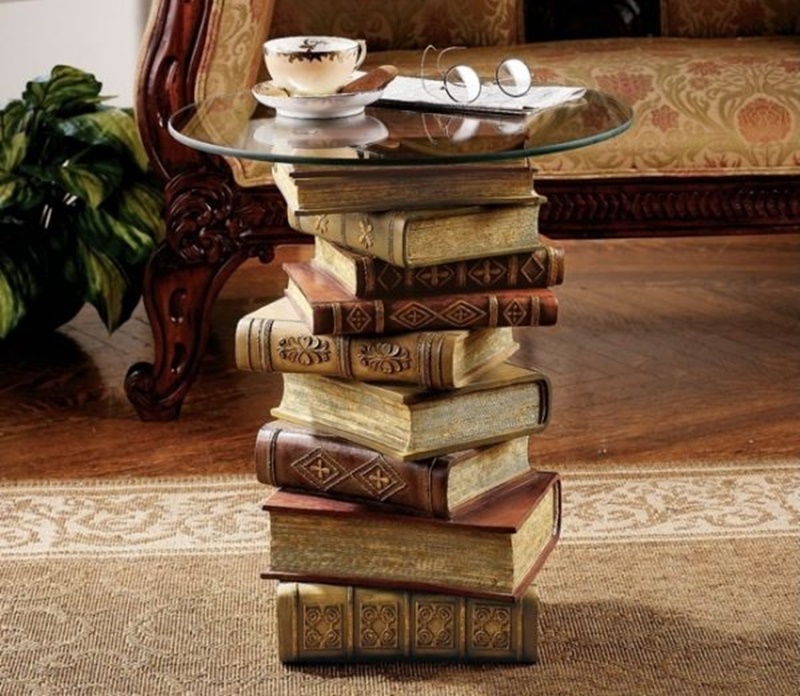 If you use your imagination you can turn almost anything into a coffee table. 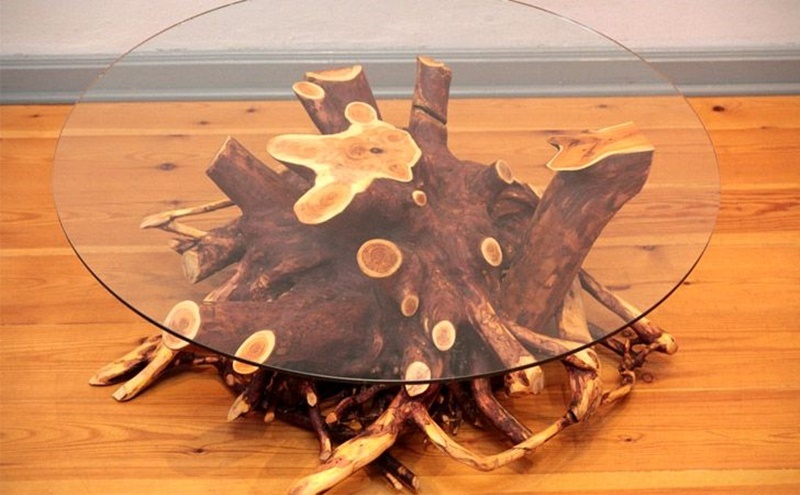 What would you turn into a coffee table? 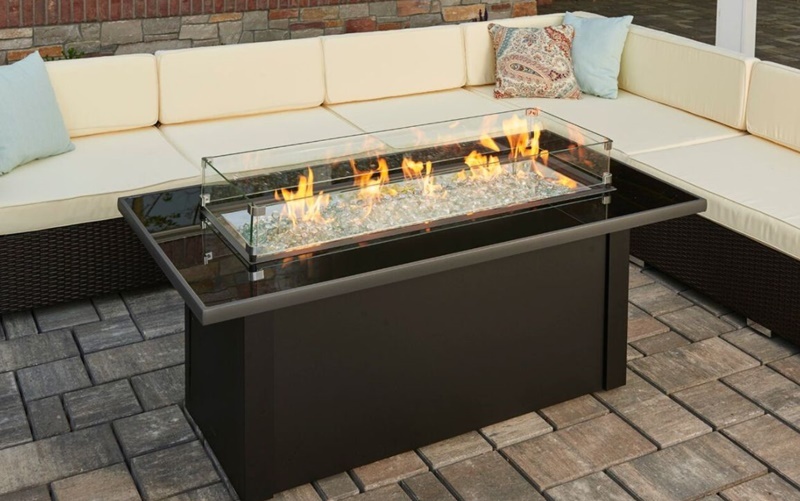 Here is a novel idea that also kills two birds with one stone. 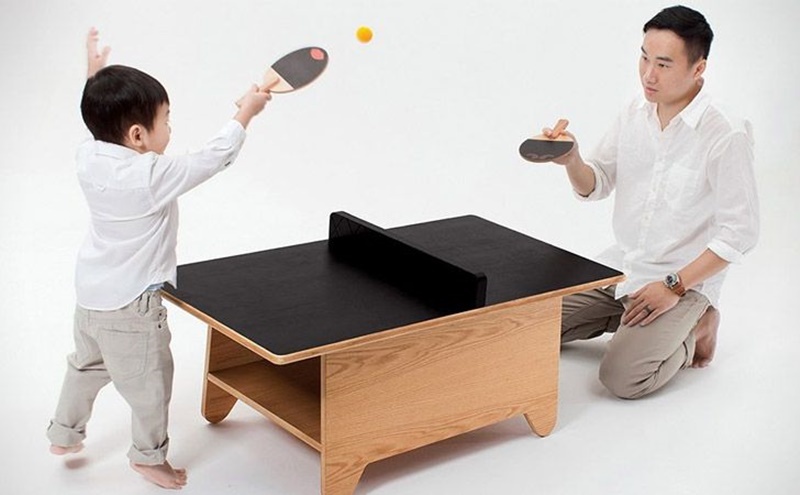 Well this one may actually kill three birds with one stone. 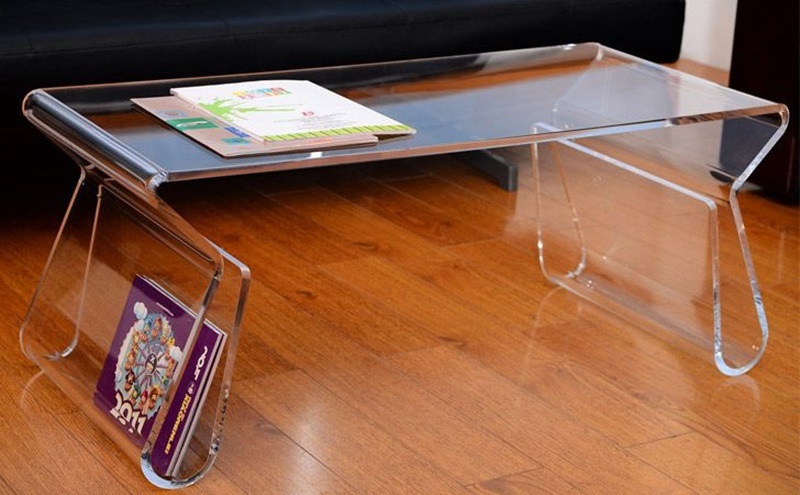 It works as a coffee table, storage device, and display case. 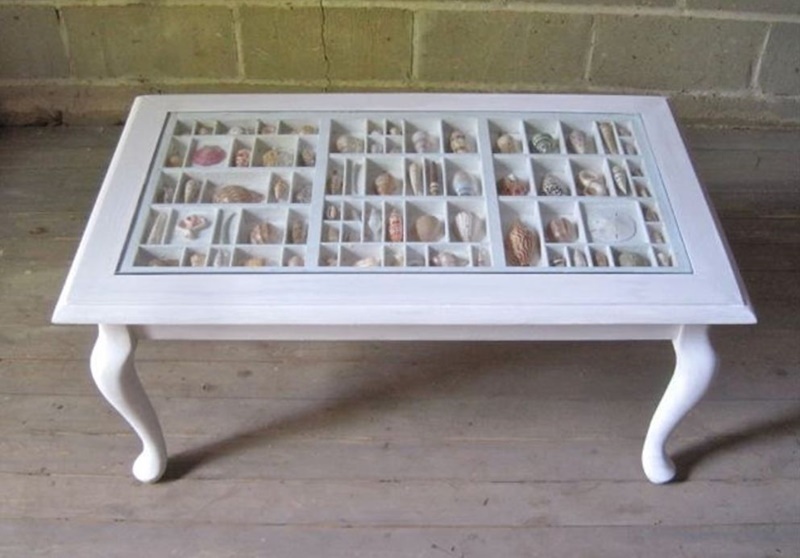 This one features shells but really you could put whatever your heart desired into it. 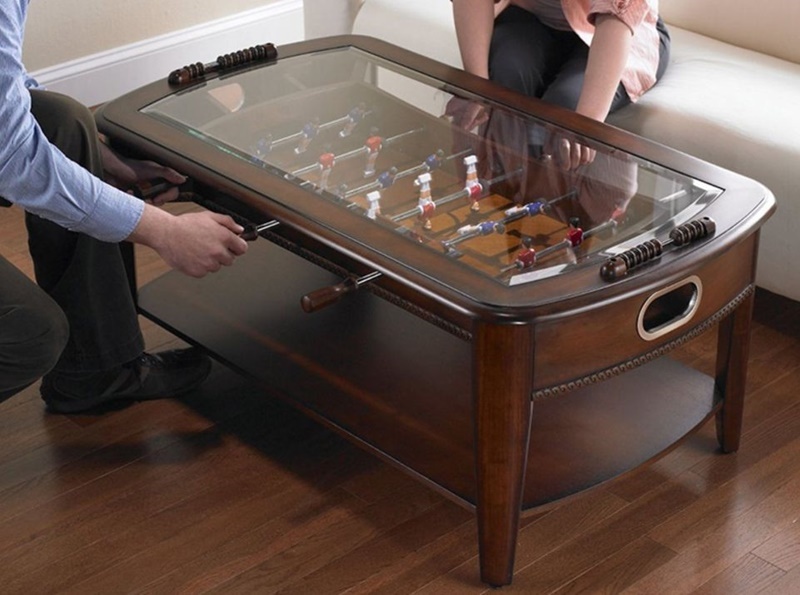 It’s a great way of showing off some of your prize possessions at the same time as utilizing space. 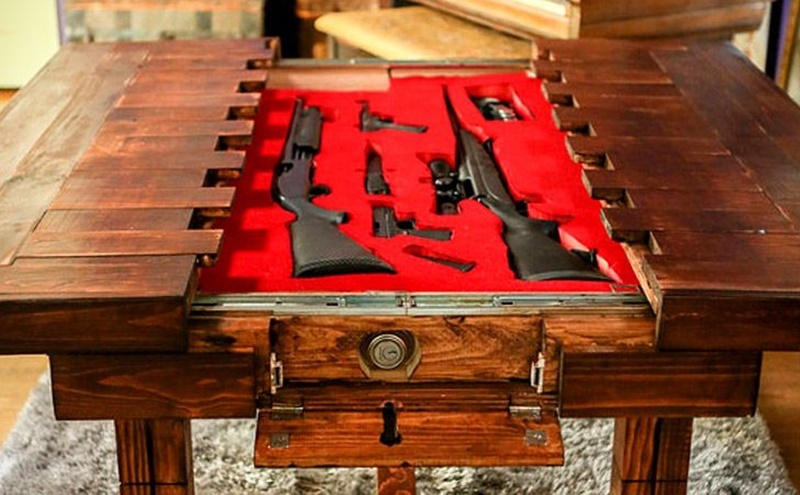 What would you put in your display case? 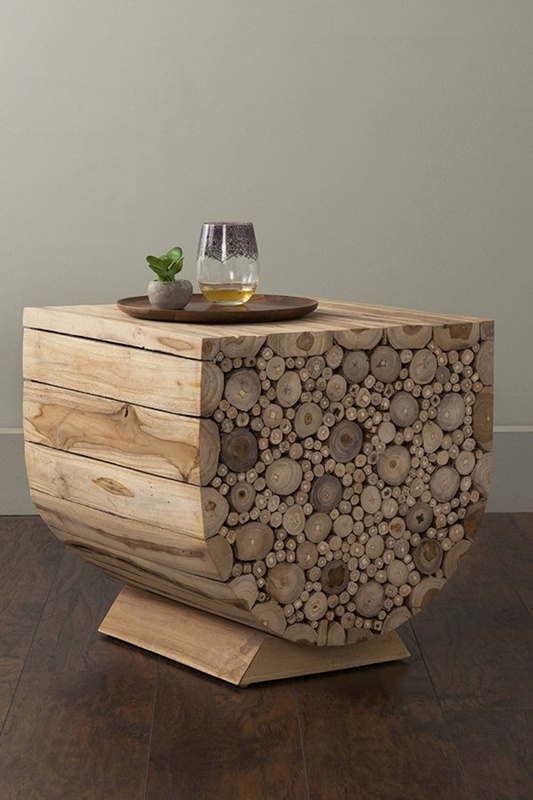 I would put my collection of dead insects in there for sure. 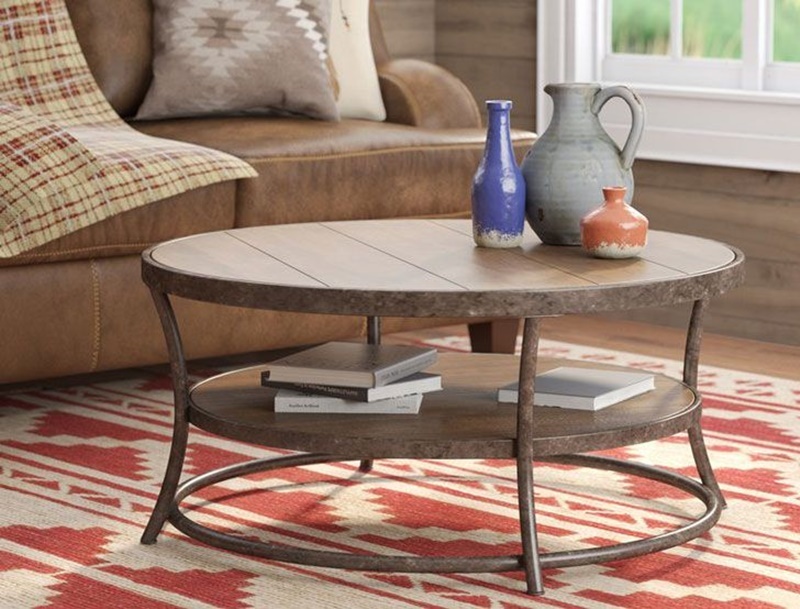 The old barrel coffee table trick get them every time. 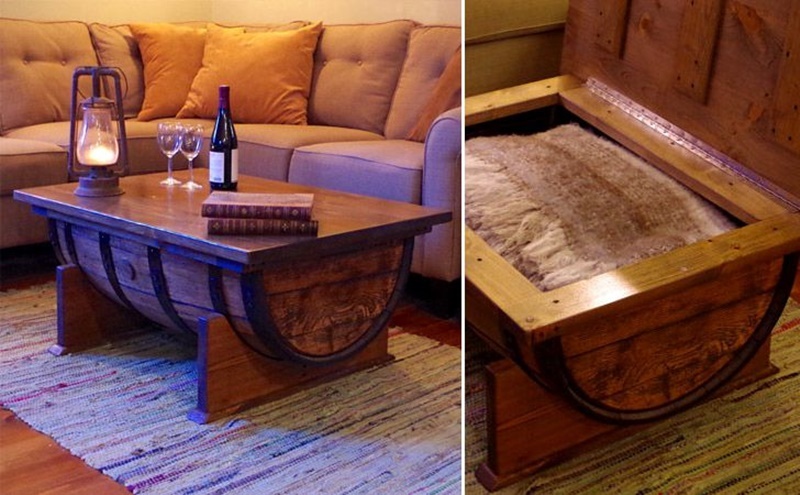 Well its not a trick, its a clever way of turning an old wine barrel into a coffee table. 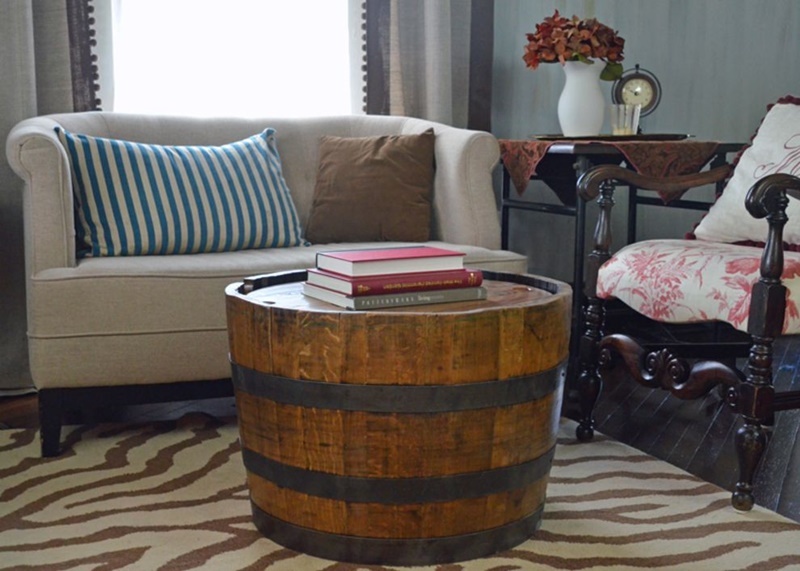 You can always go to a winery and buy an old barrel then cut it half and make two coffee table out of it. 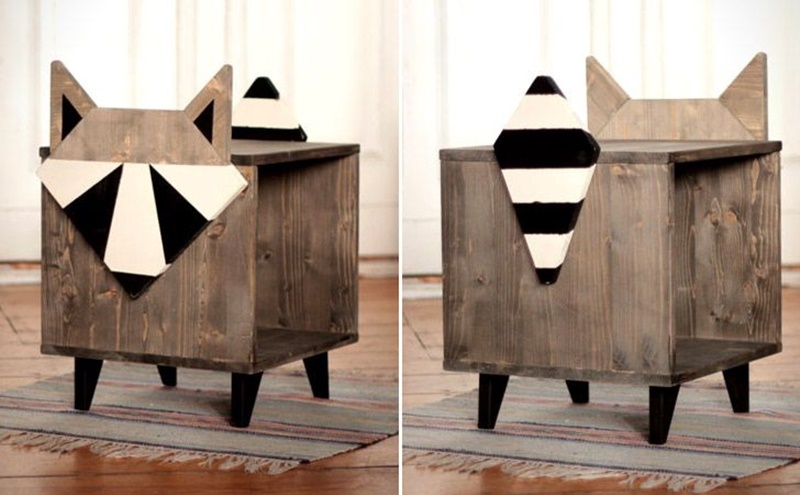 You can give one to a friend or keep them both for yourself. 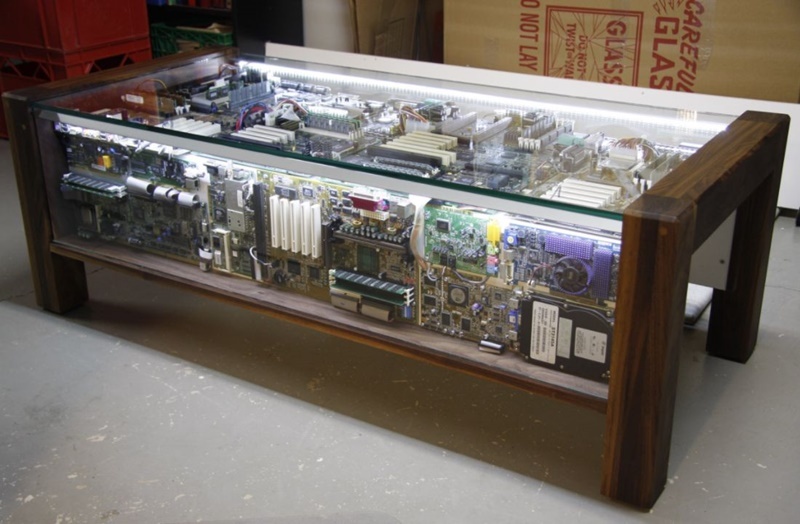 If you don’t know what your doing you could always give it to a cabinet makes to do . 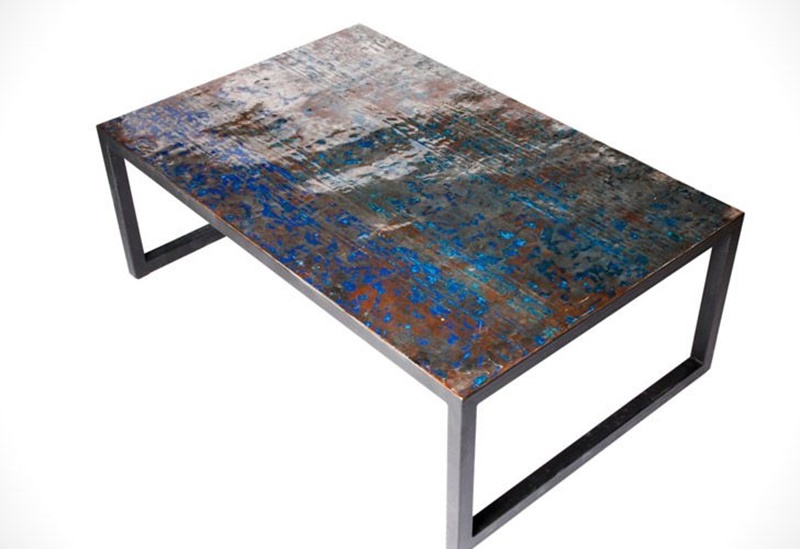 You will usually need to put a coat of lacquer on it as a protective coating. 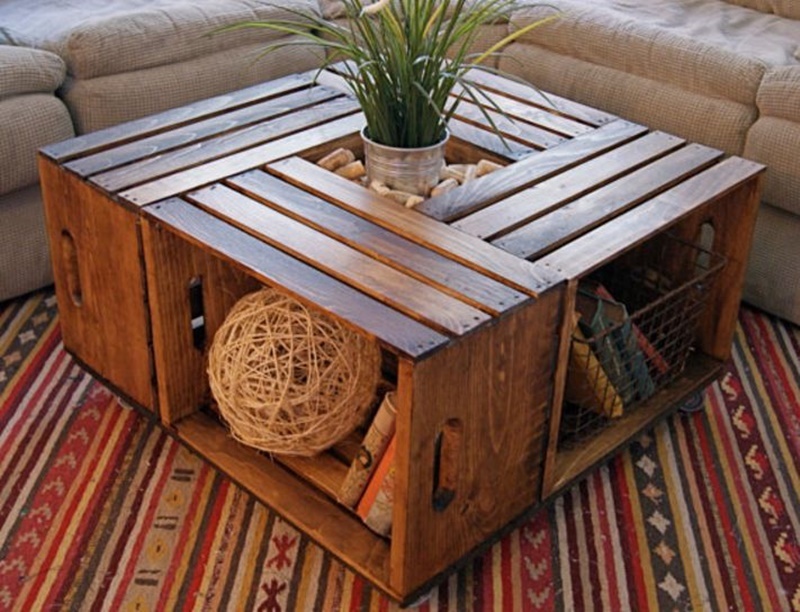 Old crates and pallets are great for building coffee tables with. 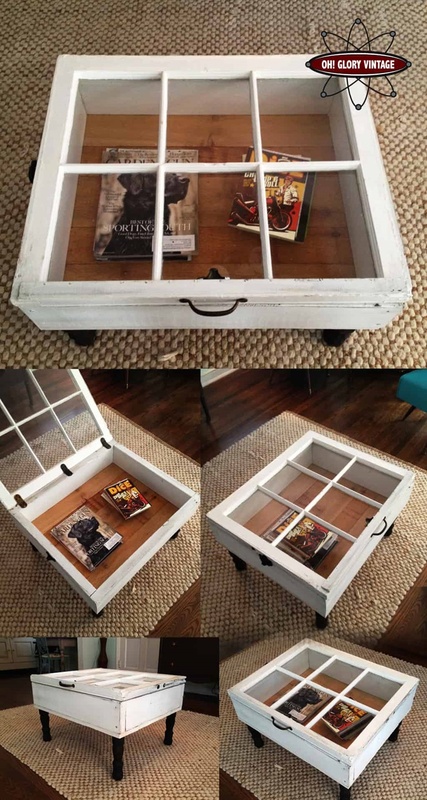 You can usually pick them up for free from the back of a shop or in dumpsters. 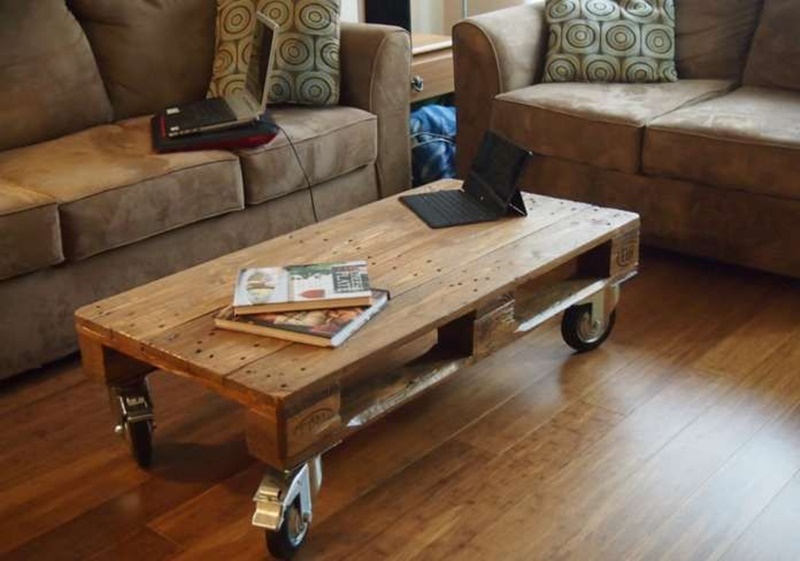 As you can see in the above image this person has cut one in thirds then applied a coating then some wheels to make it truly mobile. 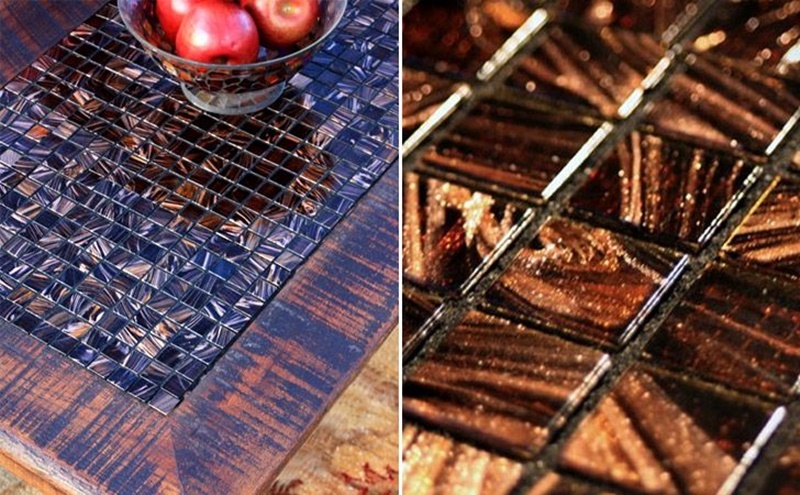 It’s a really clever way of upcycling old materials and creating something useful out of them. 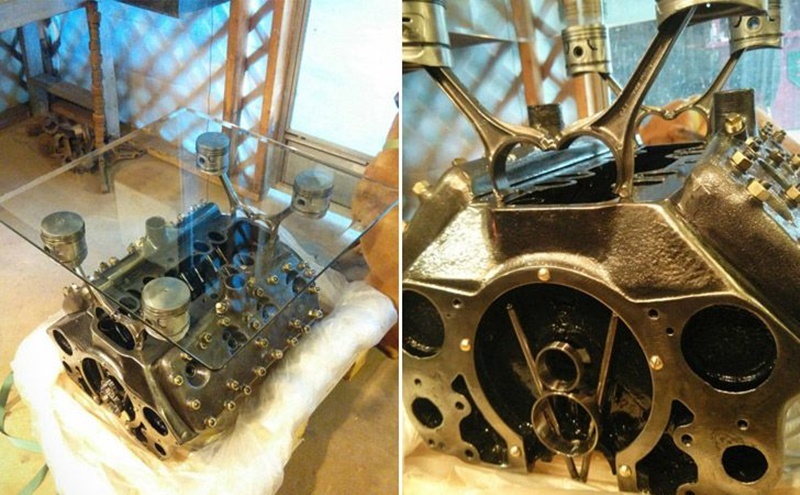 Why by a new cheap piece when you can create a masterpiece out of older stronger materials. 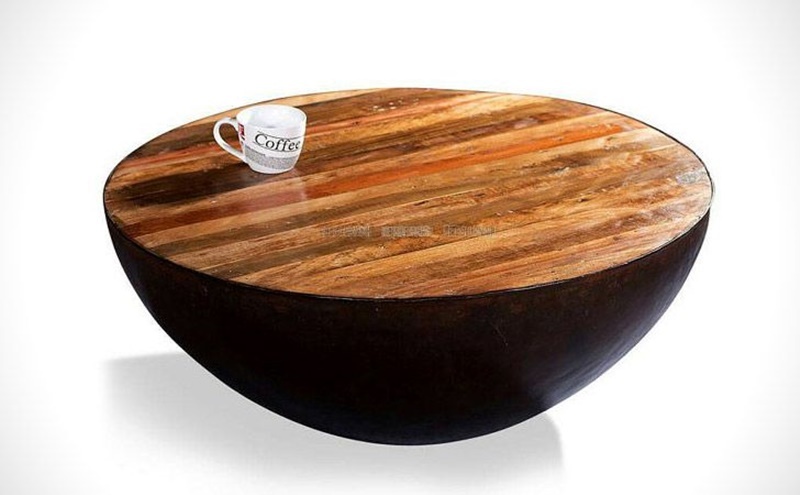 Old surfboards make great new coffee tables. 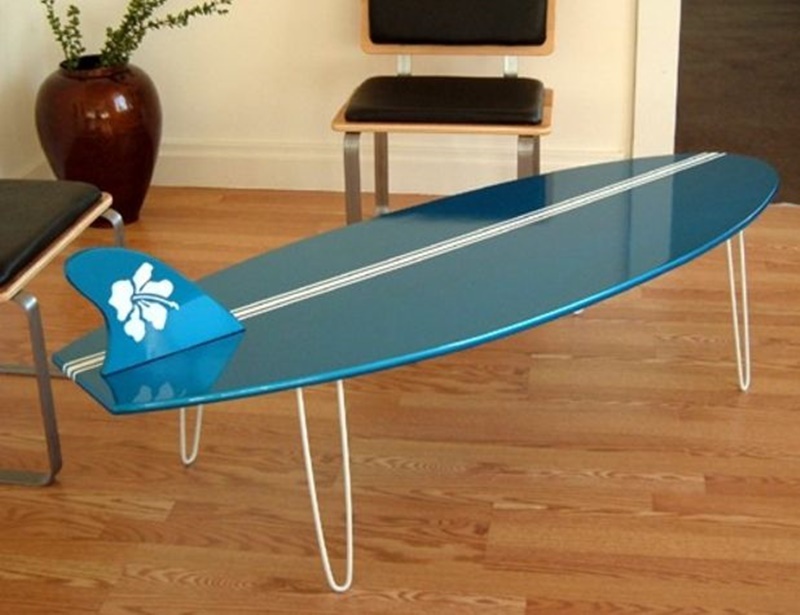 As you can see in the above image that this big blue surfboard is looking amazing as a coffee table. 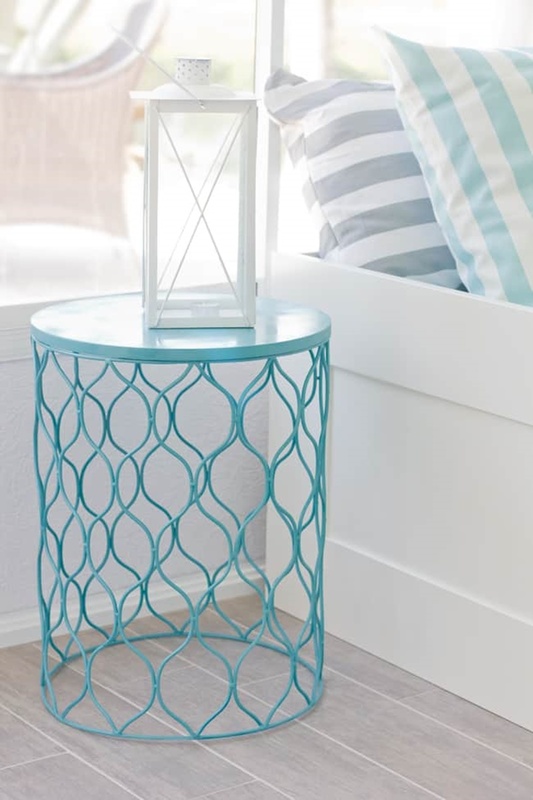 It really gives the place a beach vibe and would suit a beach house to a tee. 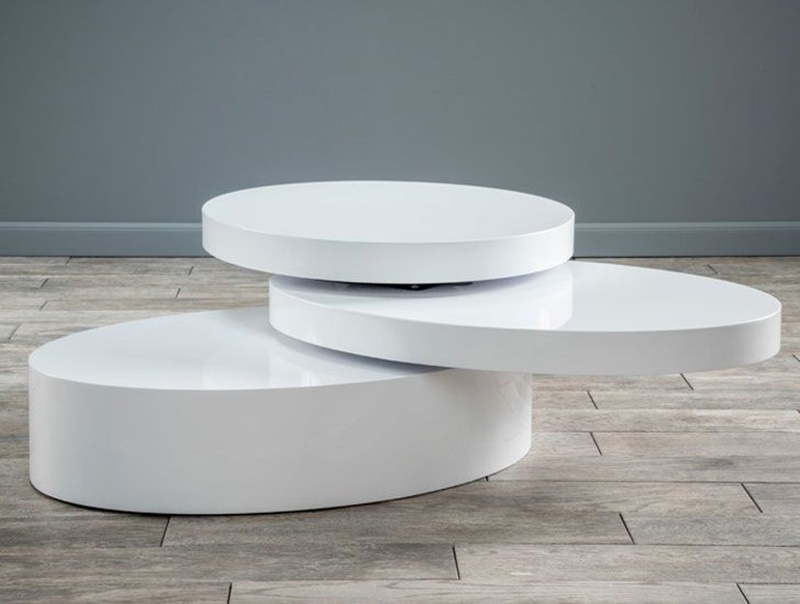 The best thing about it is that if you get sick of the coffee table you can always take the legs out and hit the beach to catch some tubes. Surf up everybody. Wow. I am seriously impressed with the list. 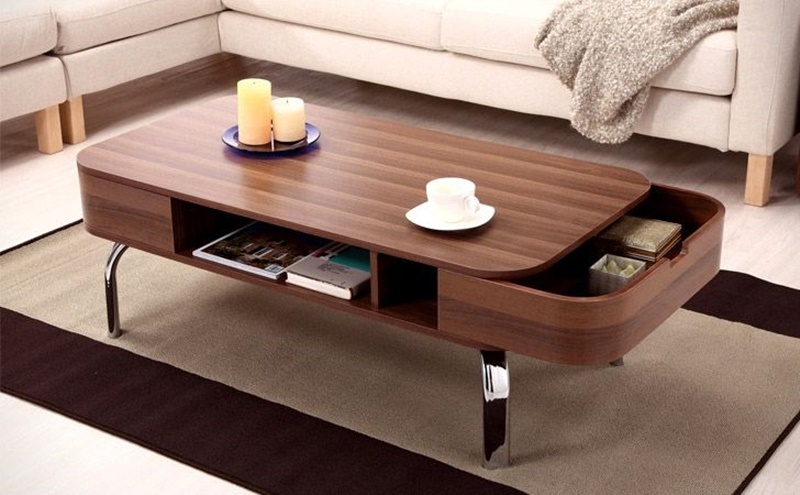 The coffee tables are amazing. 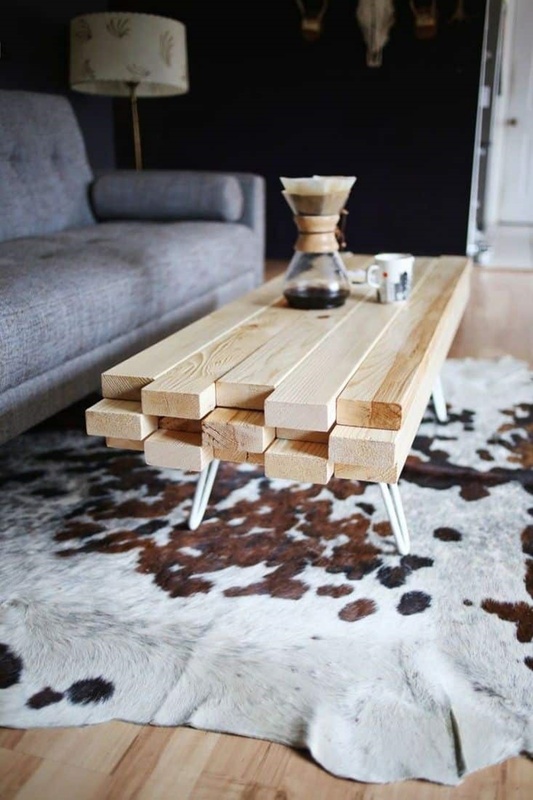 I hope you have found some inspiration for next coffee table.